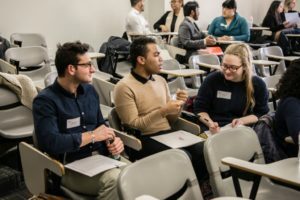 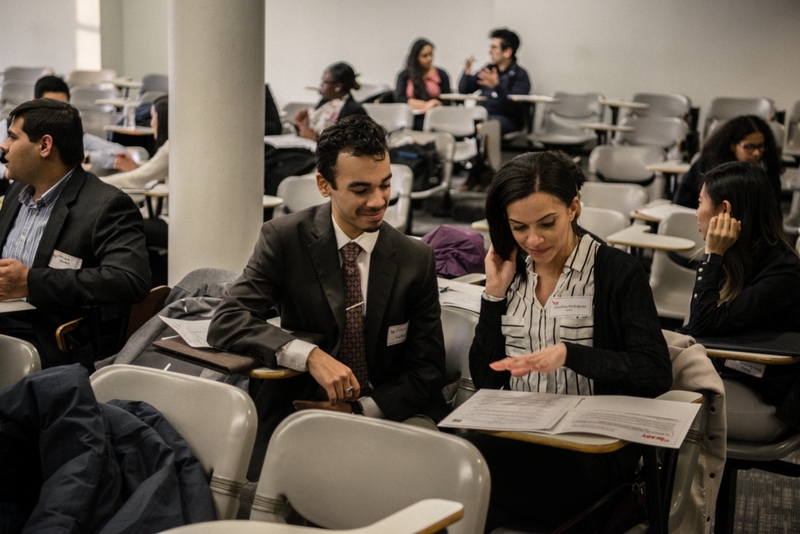 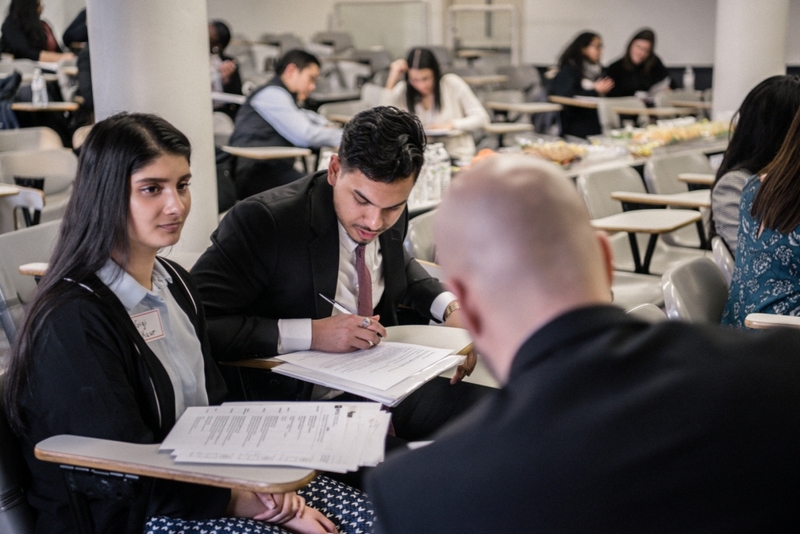 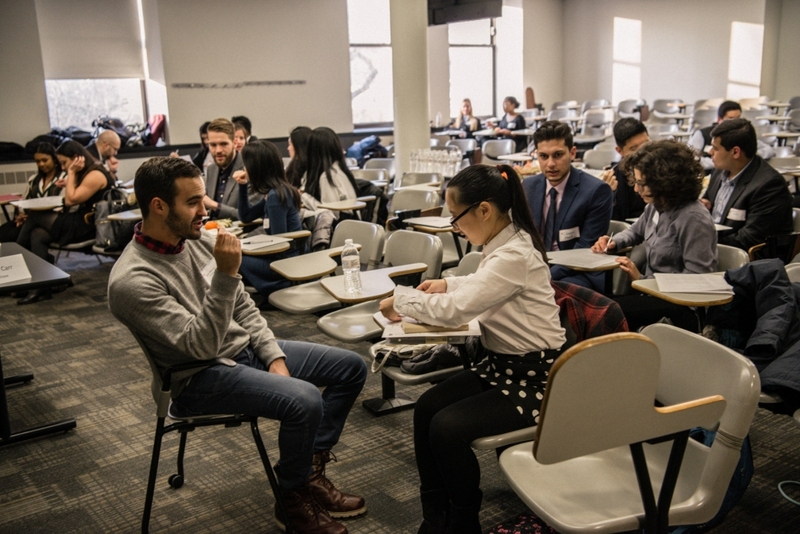 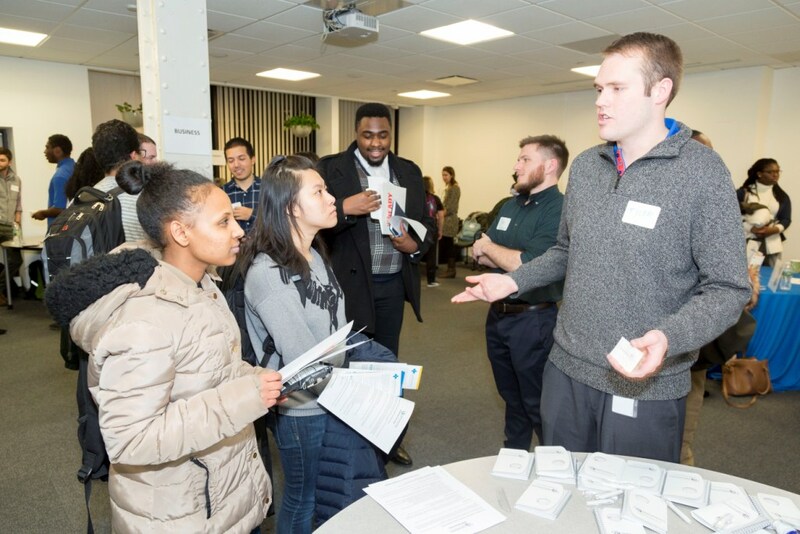 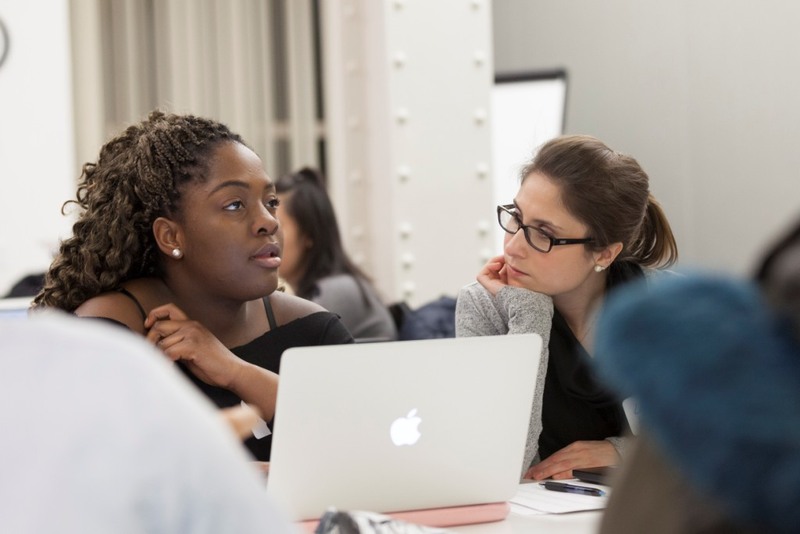 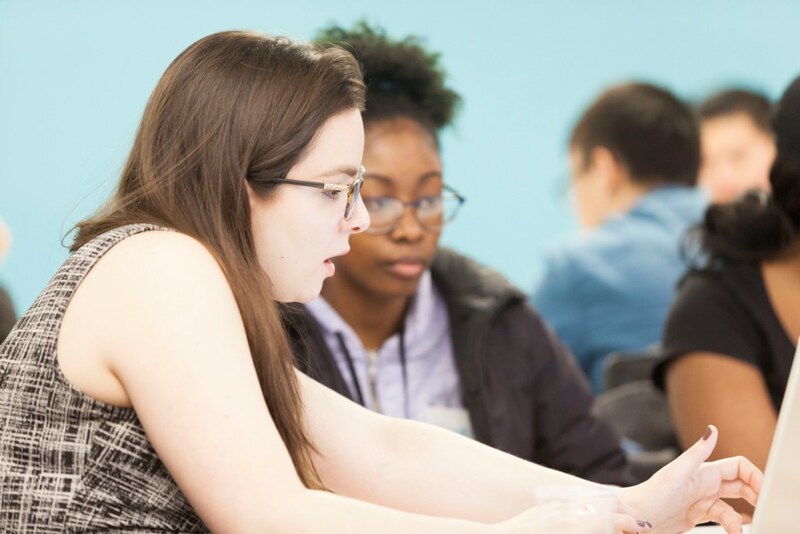 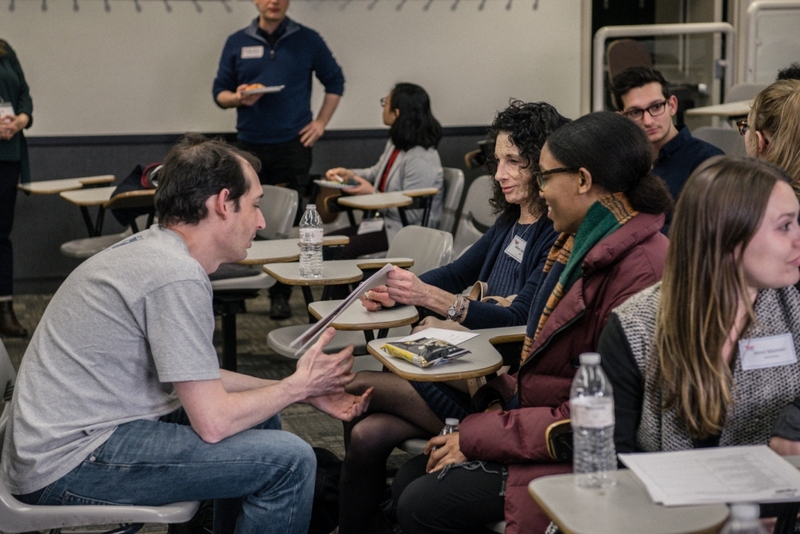 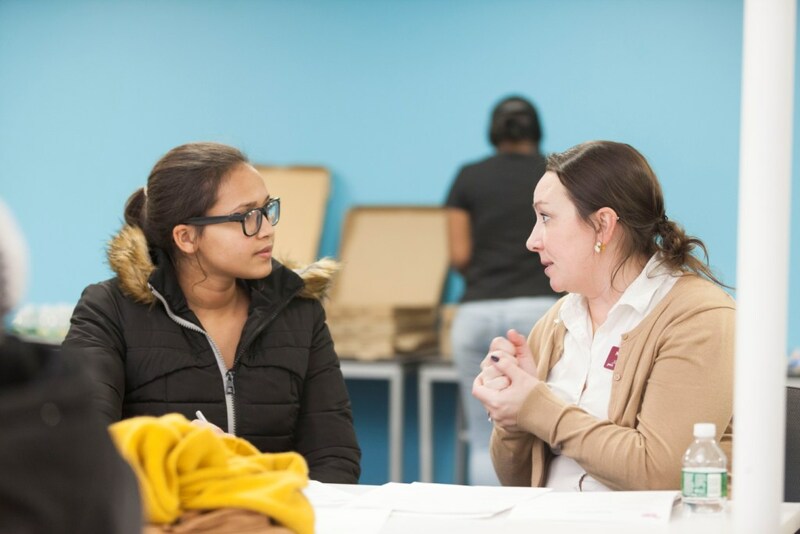 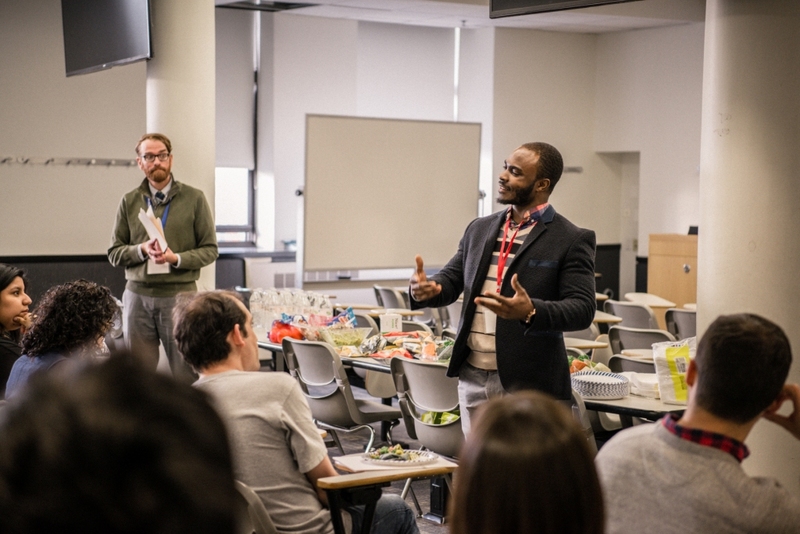 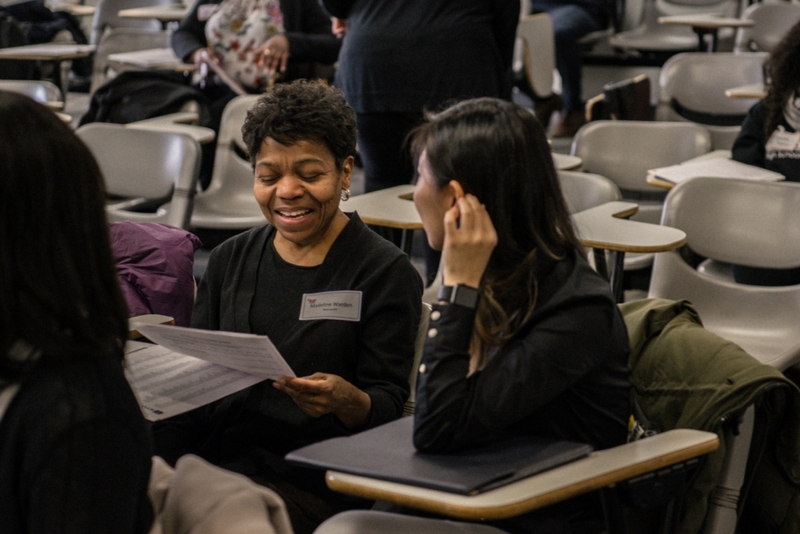 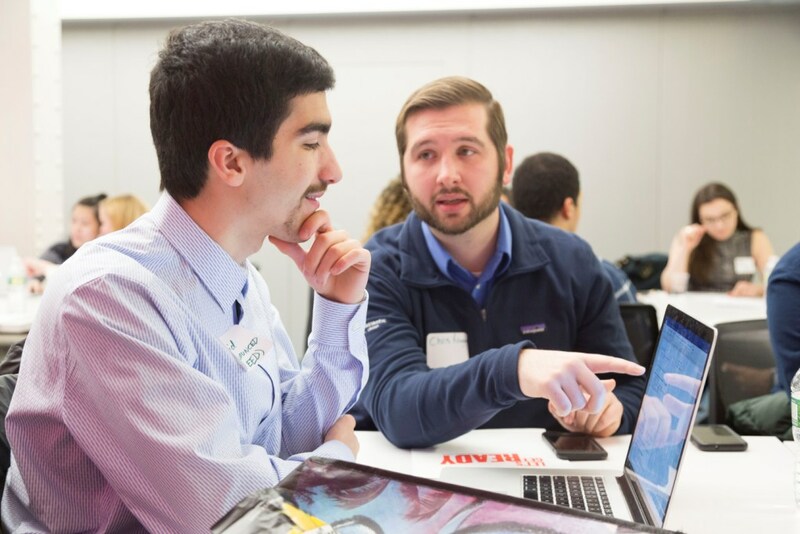 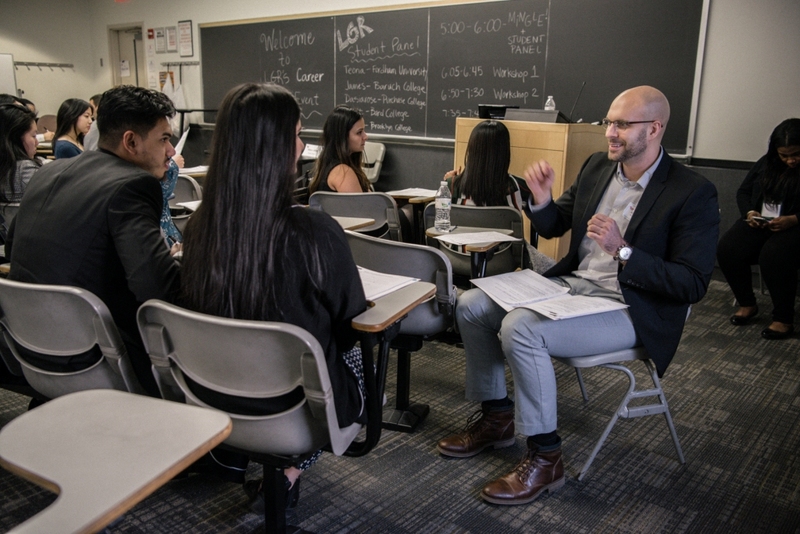 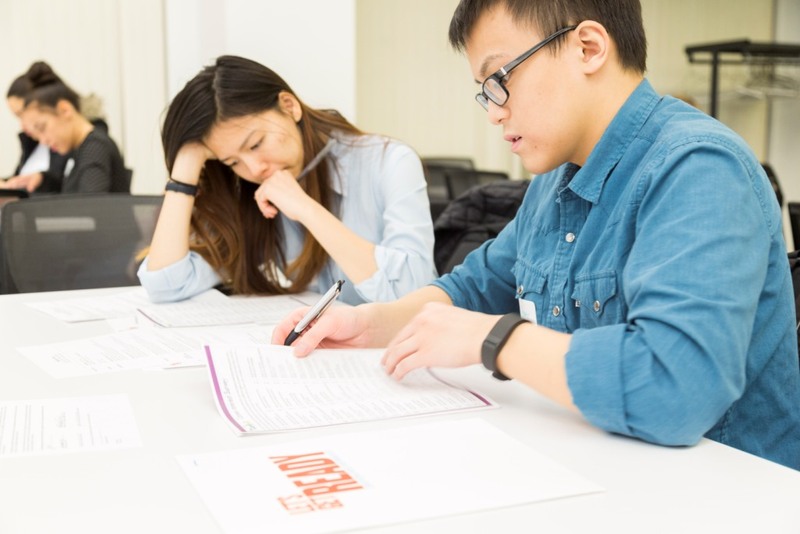 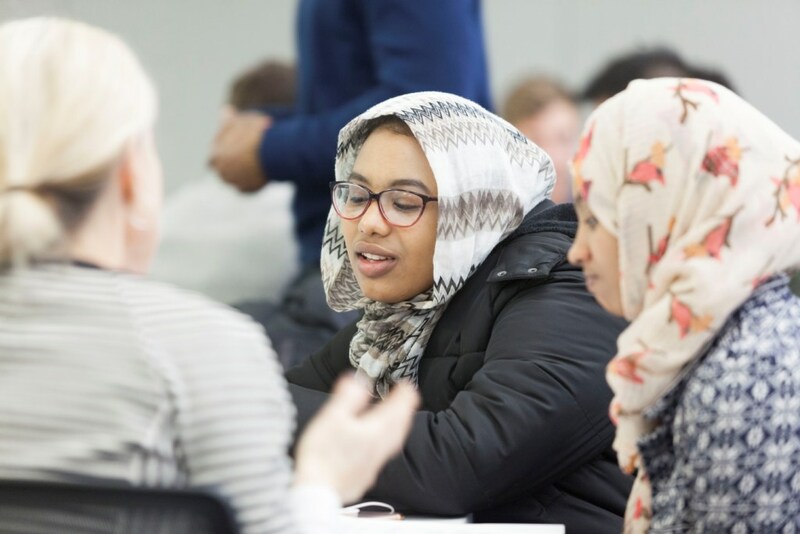 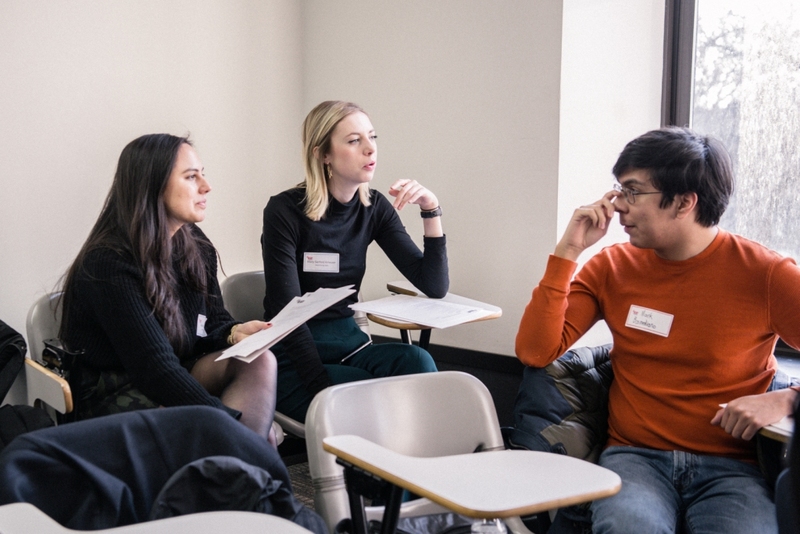 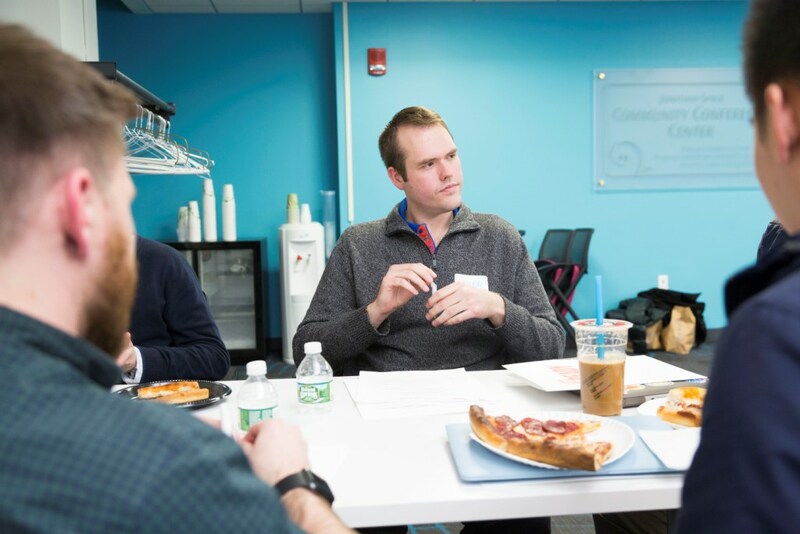 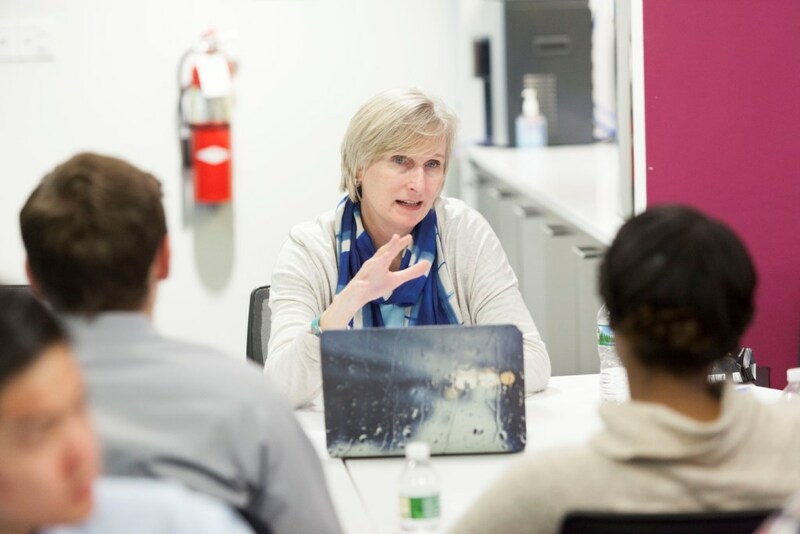 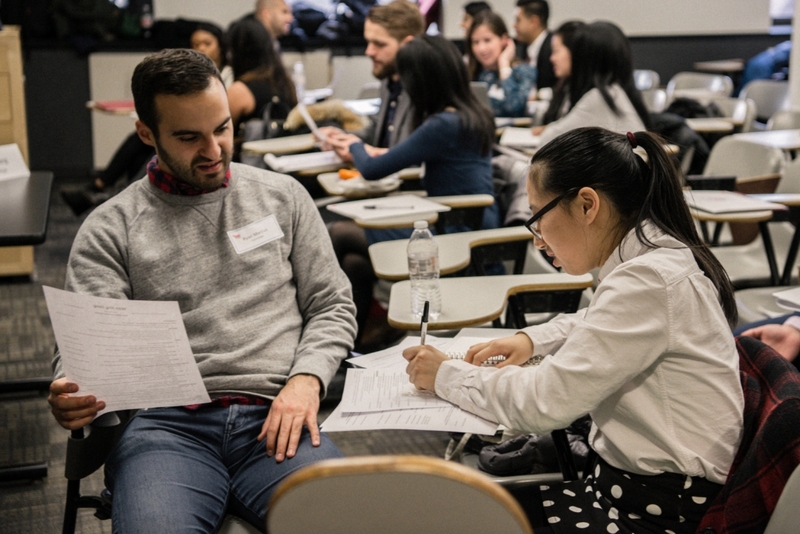 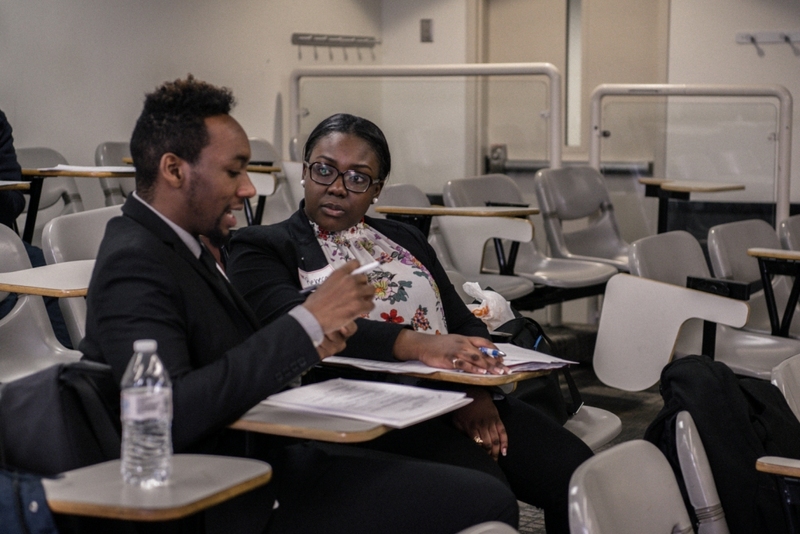 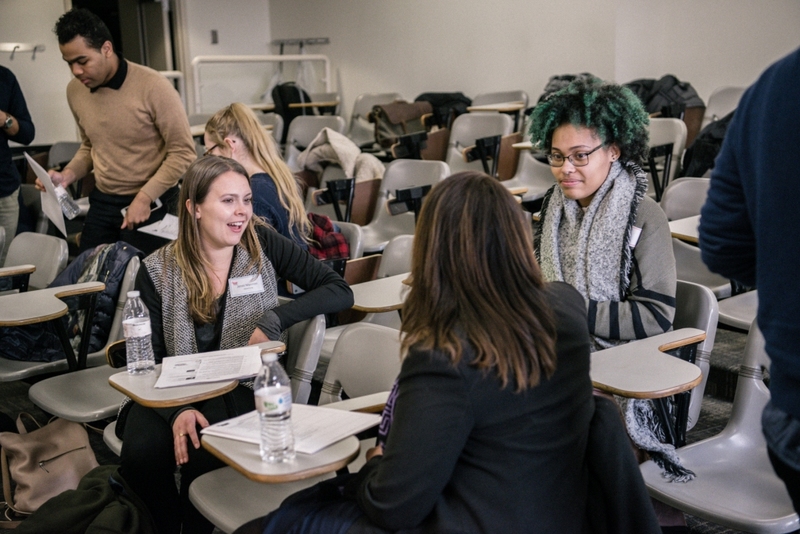 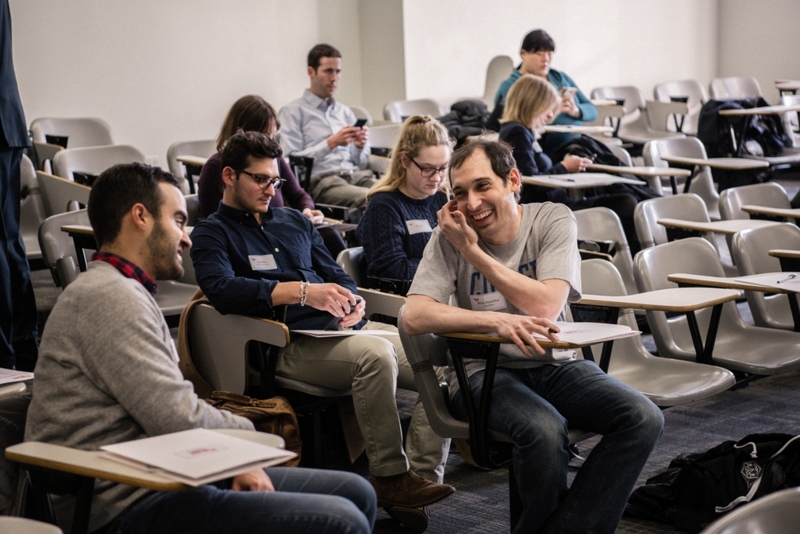 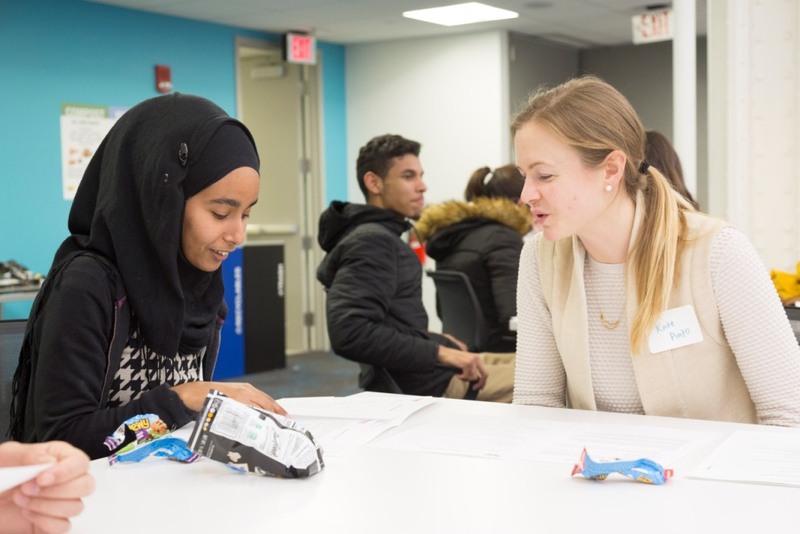 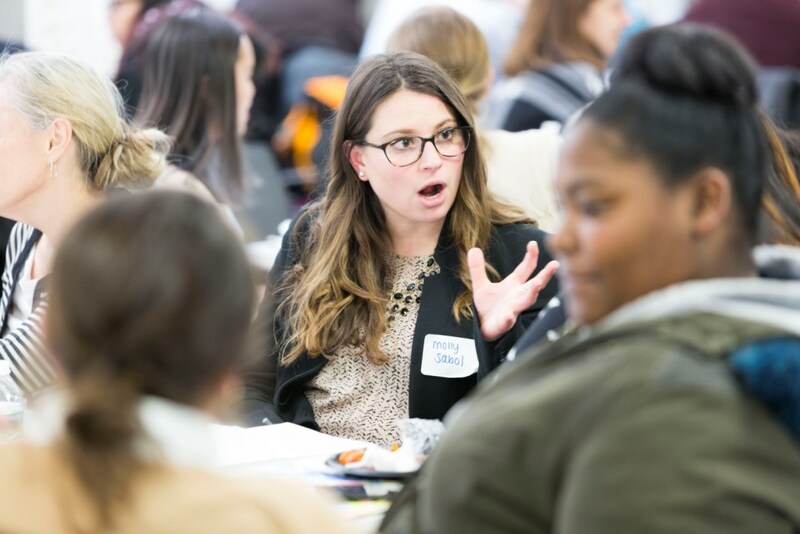 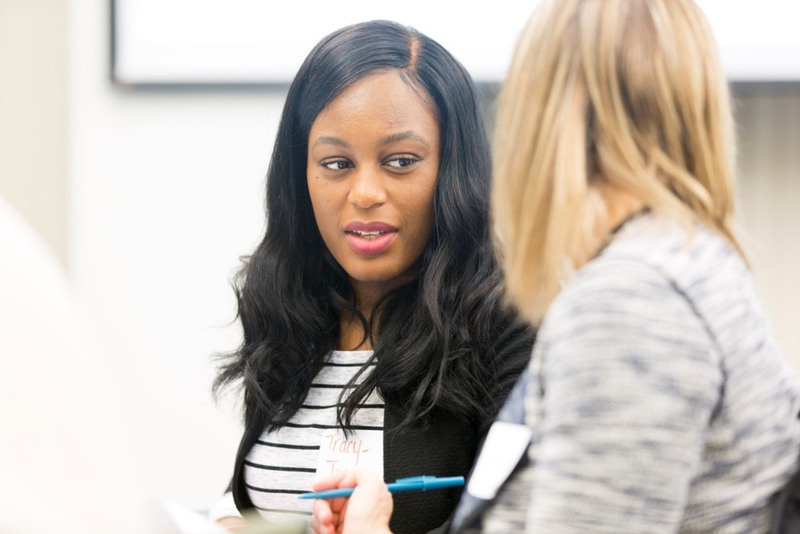 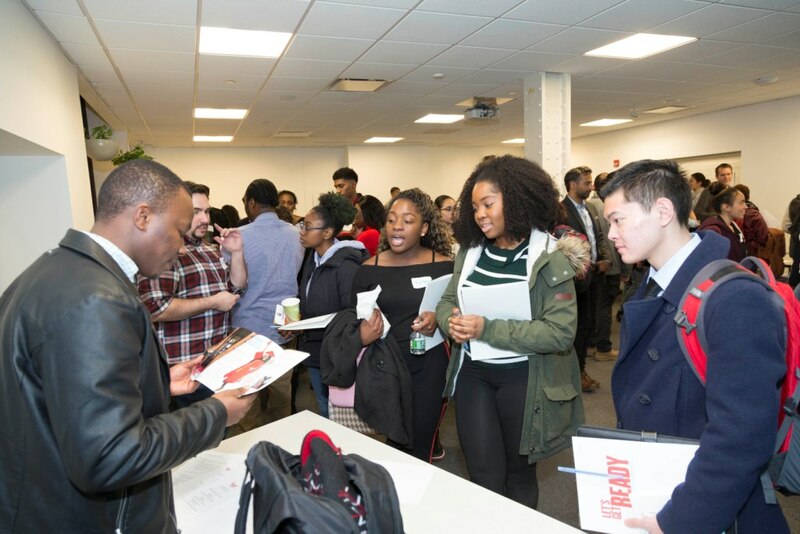 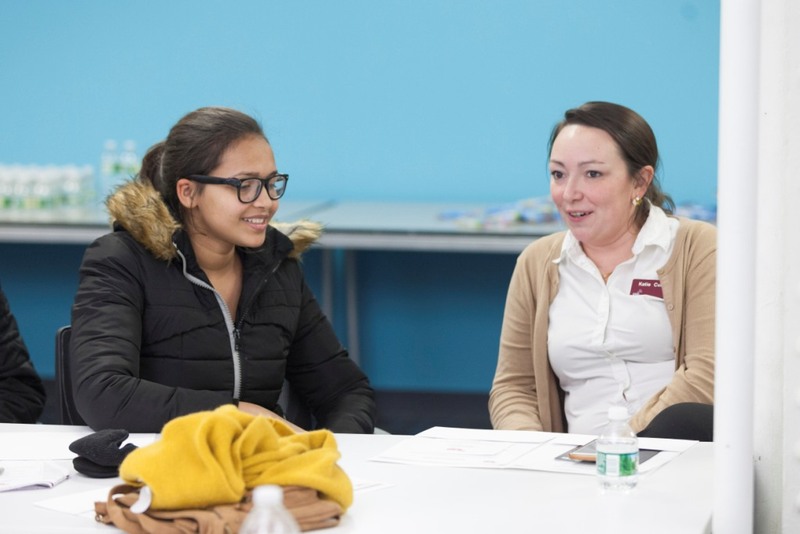 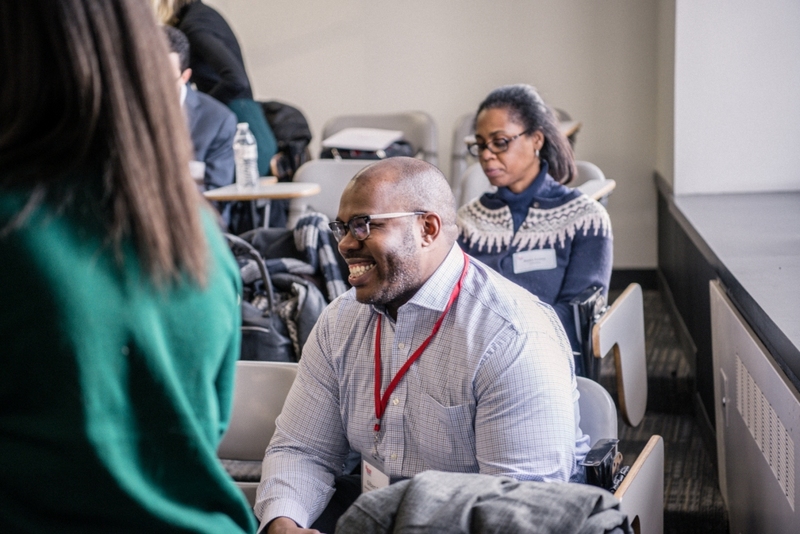 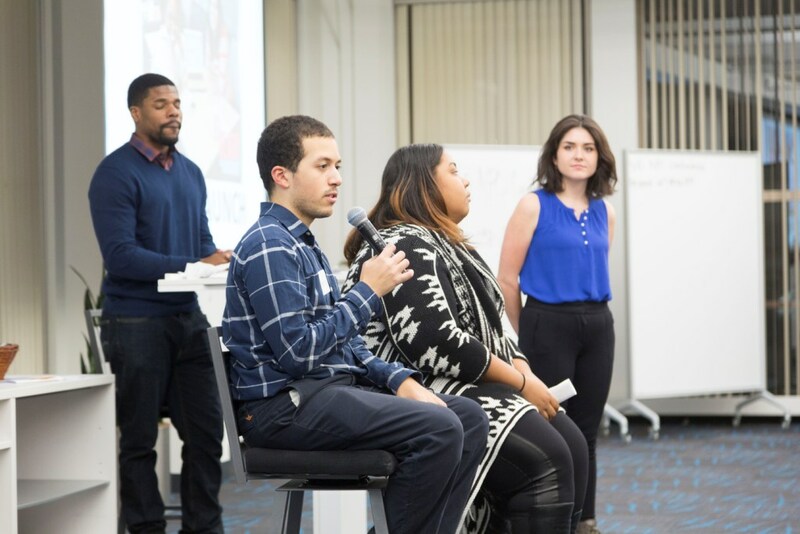 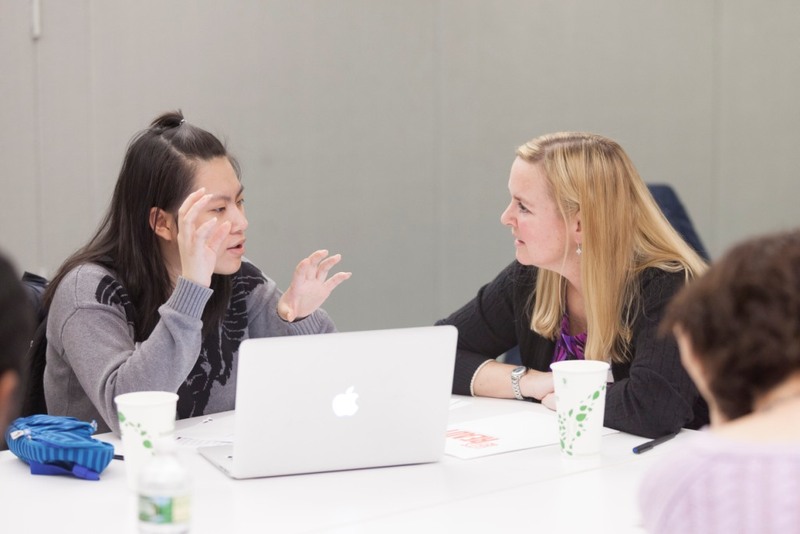 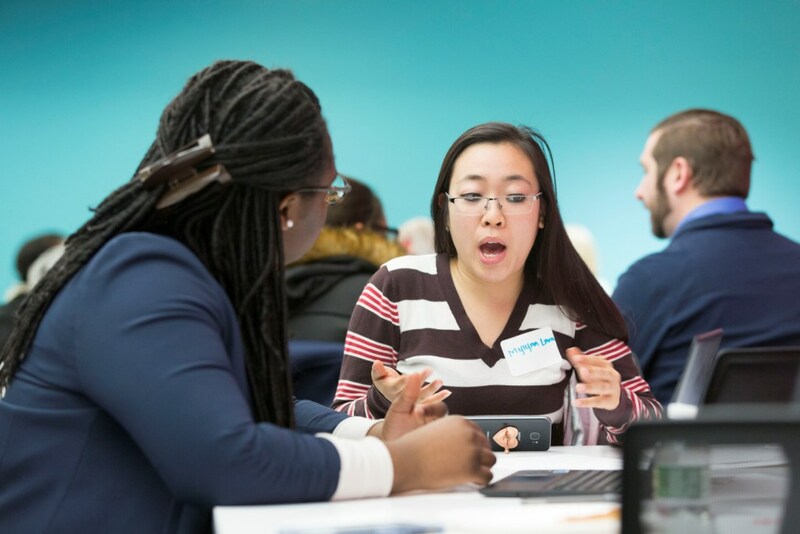 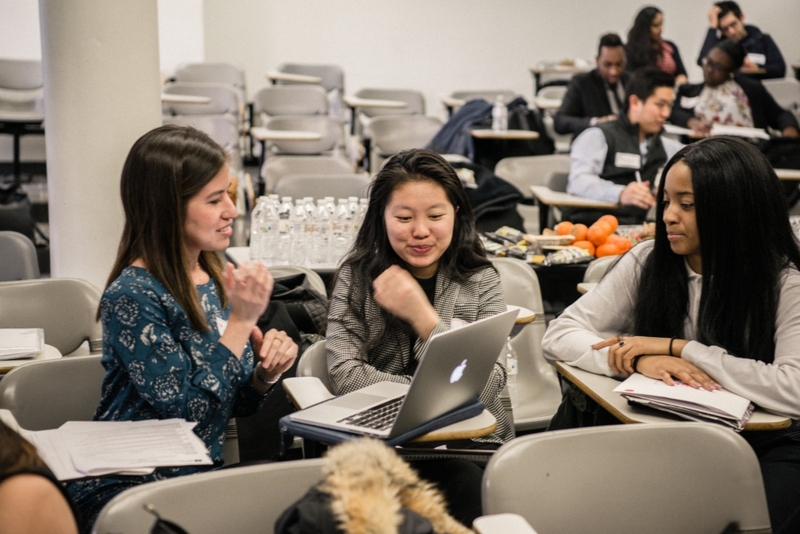 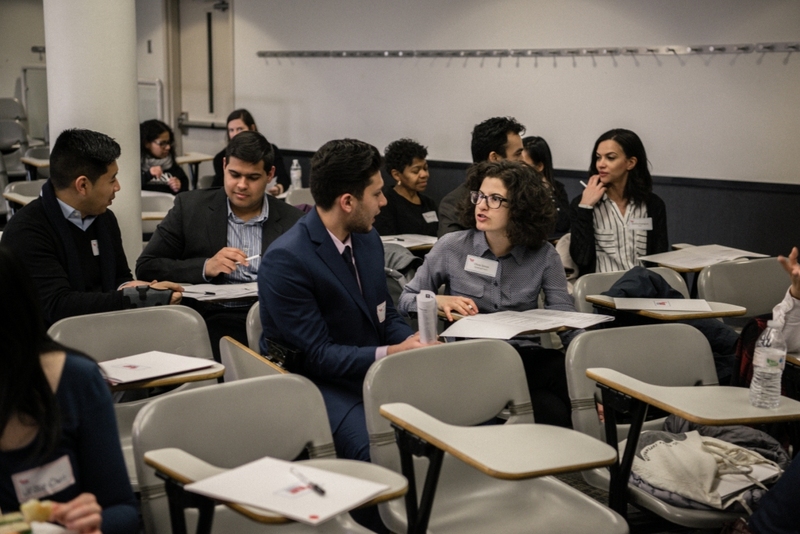 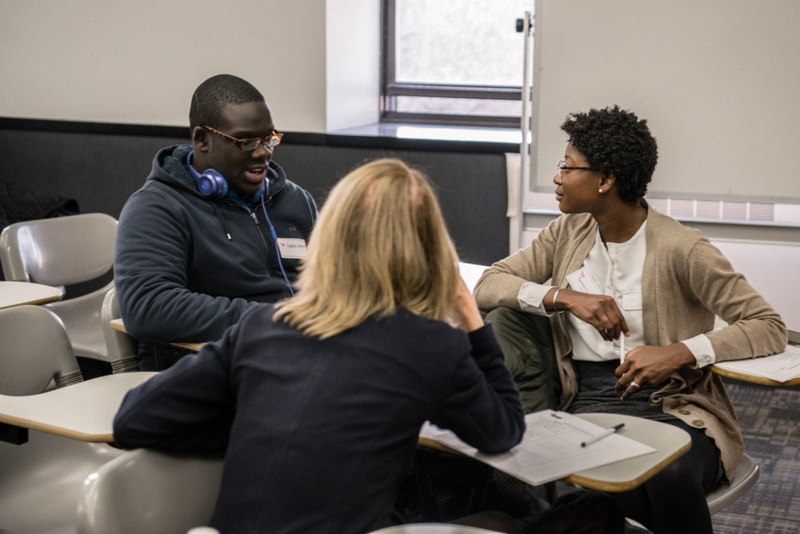 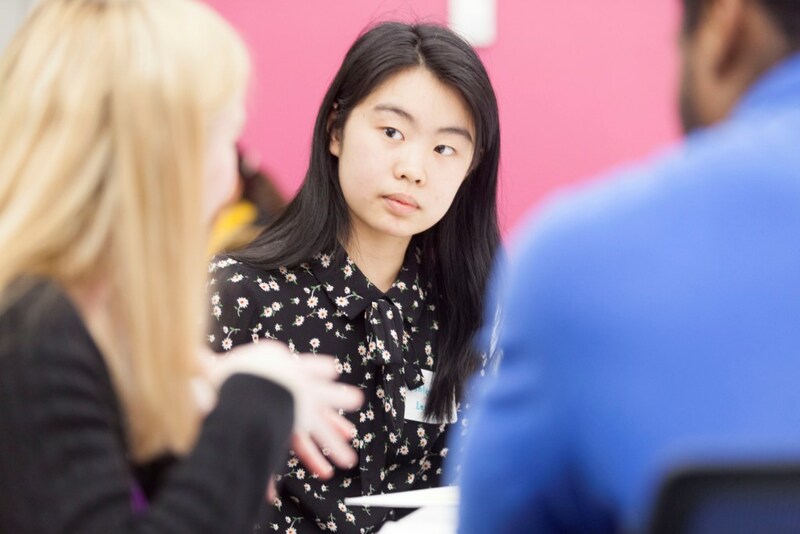 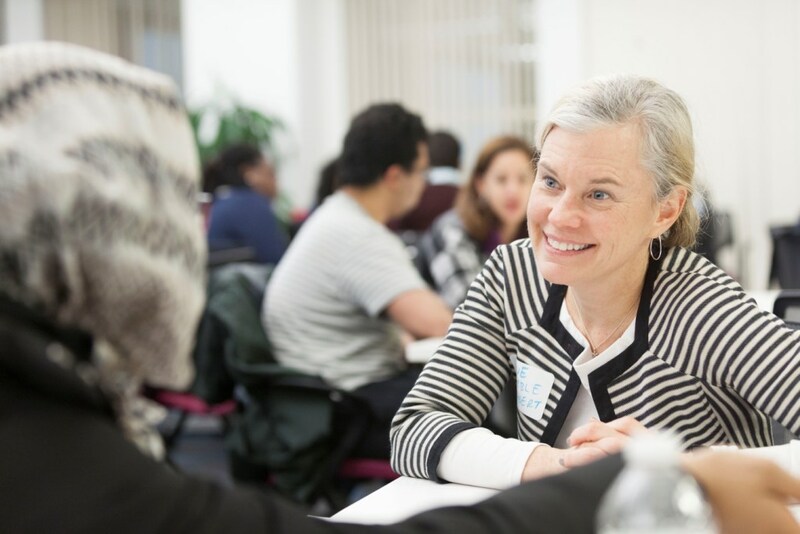 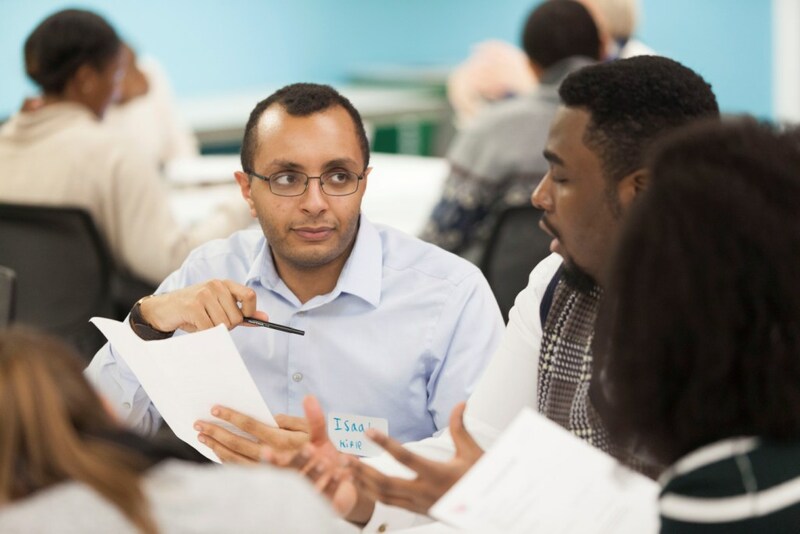 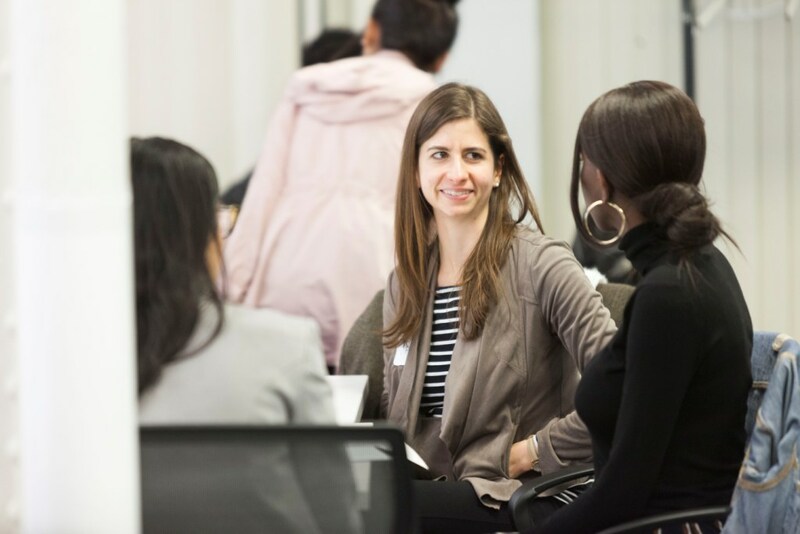 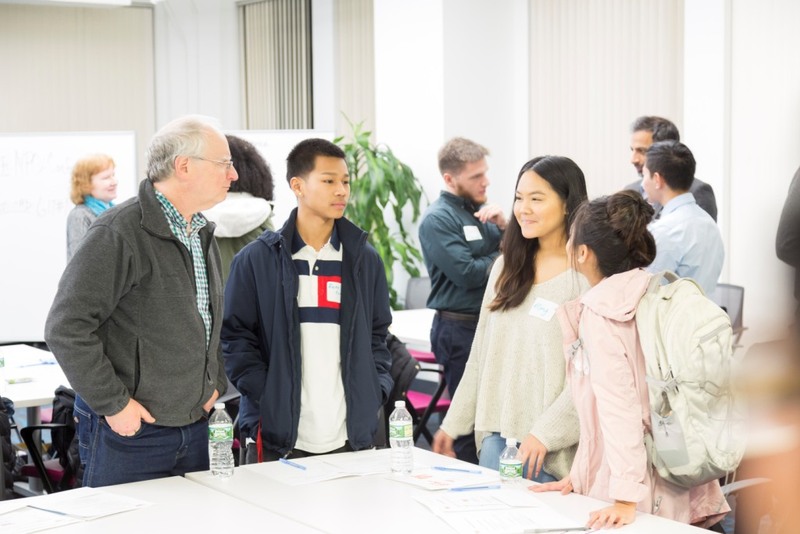 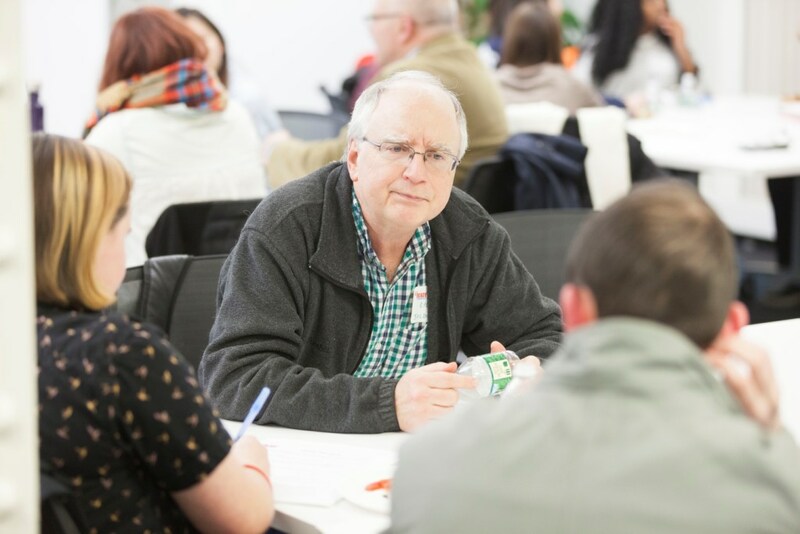 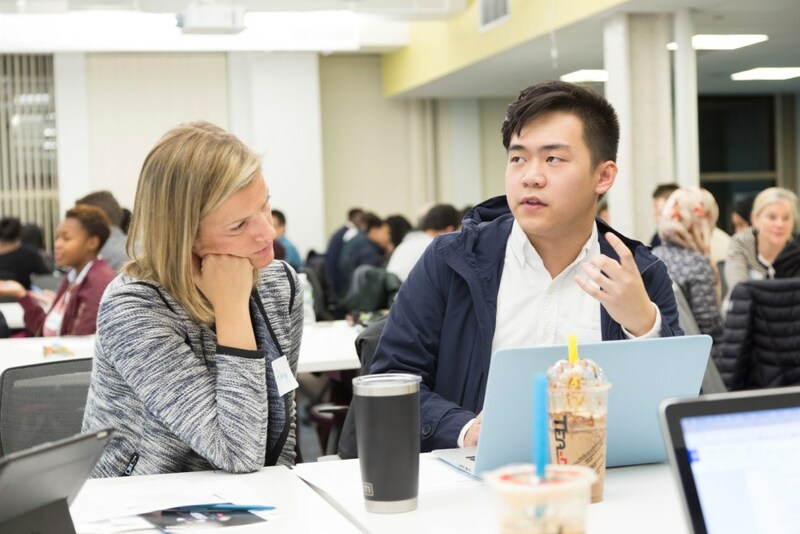 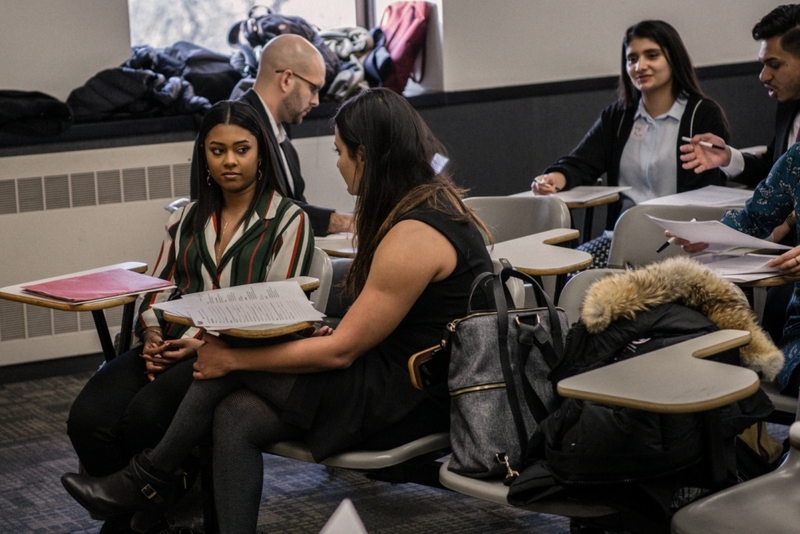 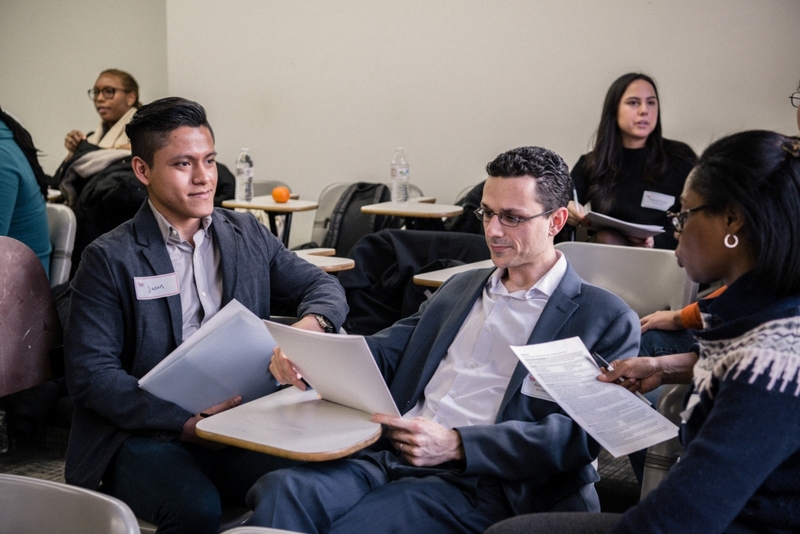 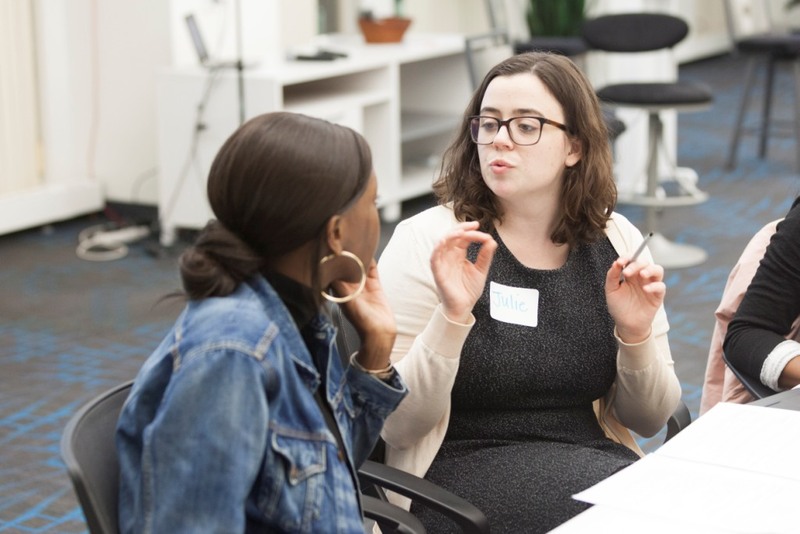 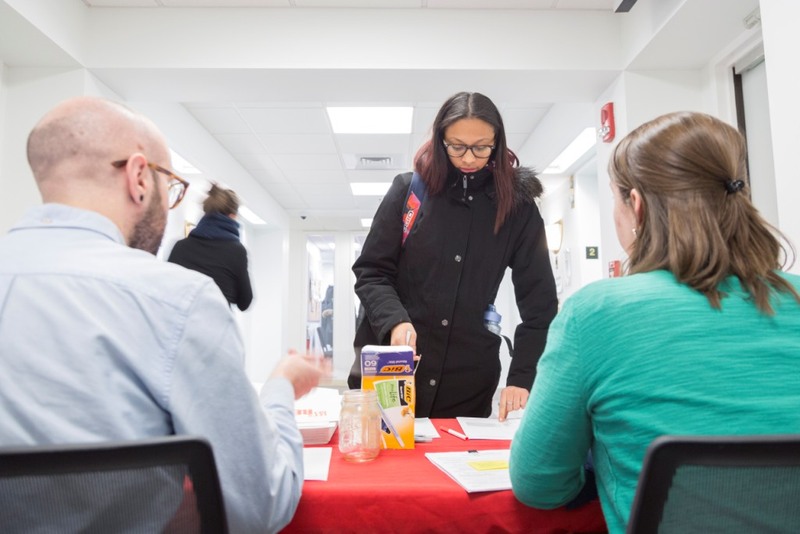 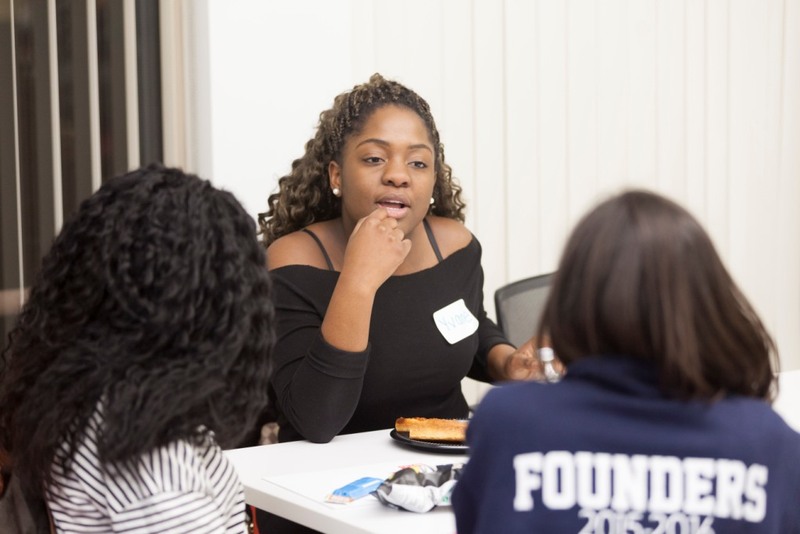 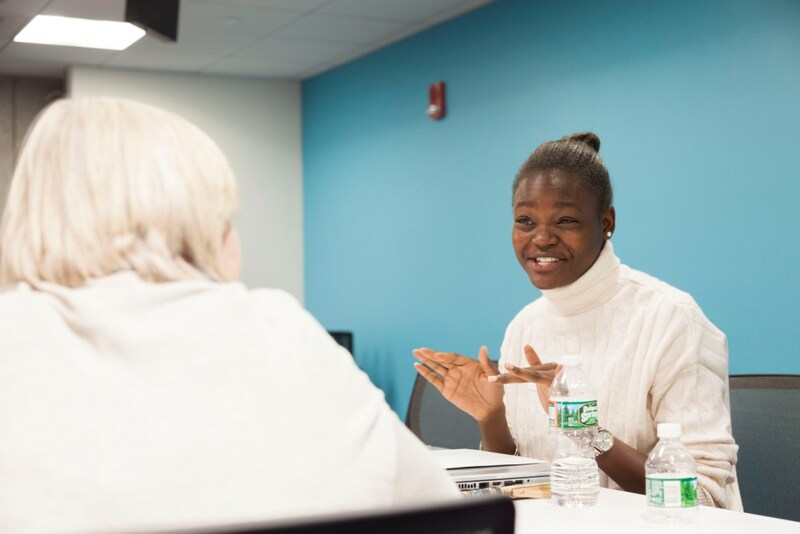 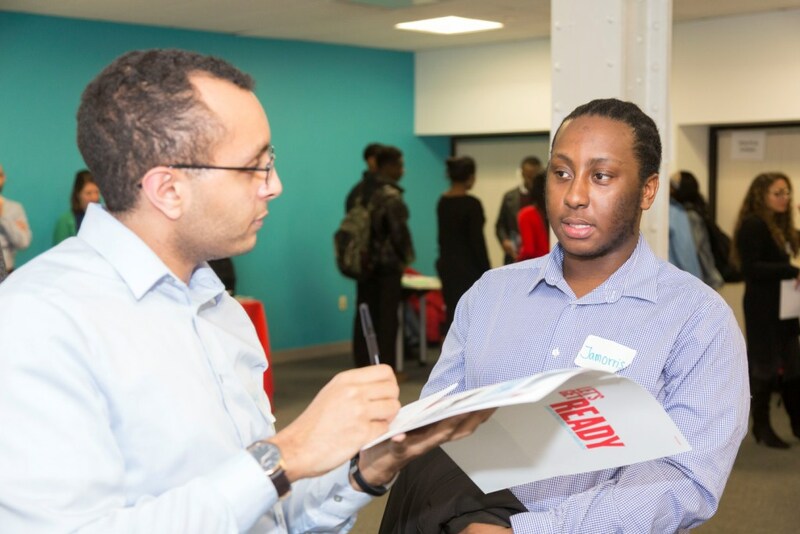 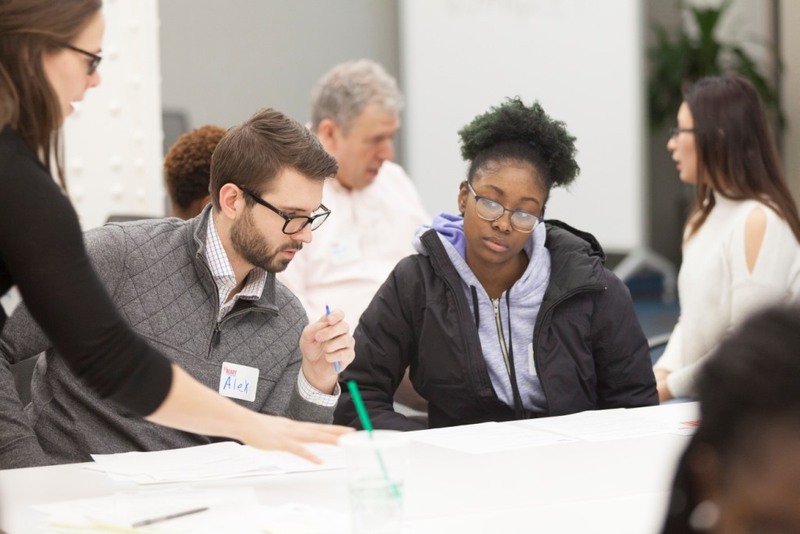 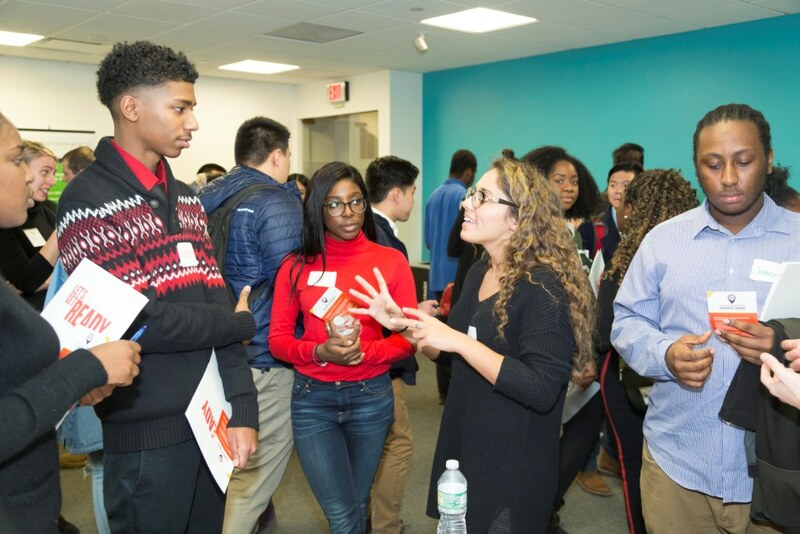 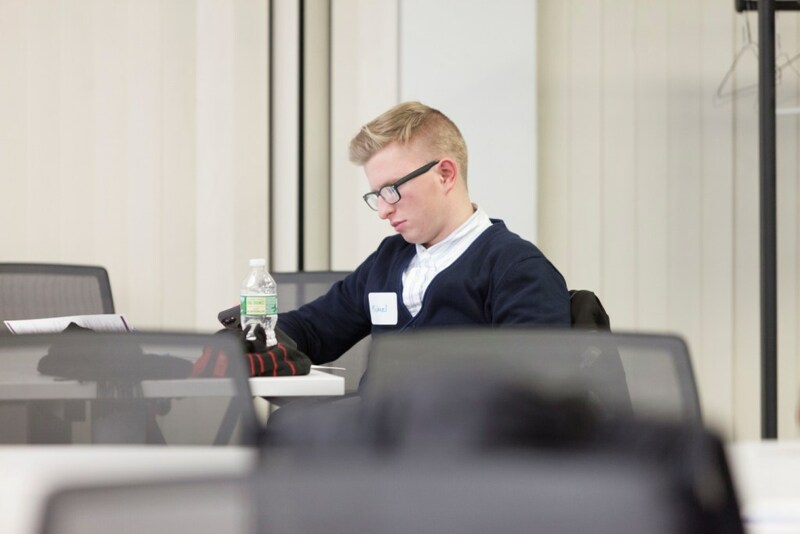 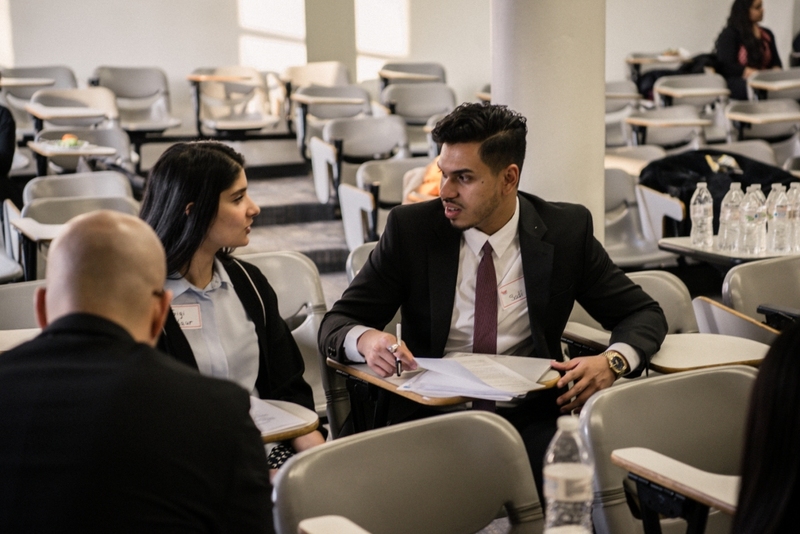 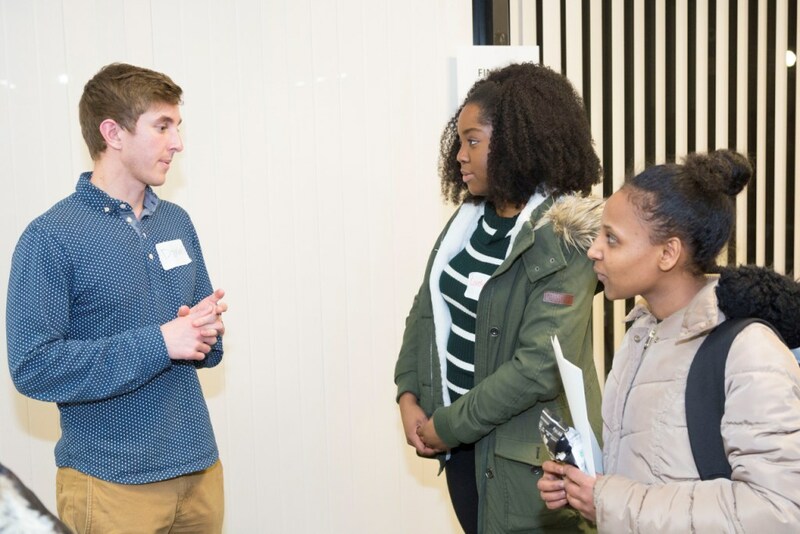 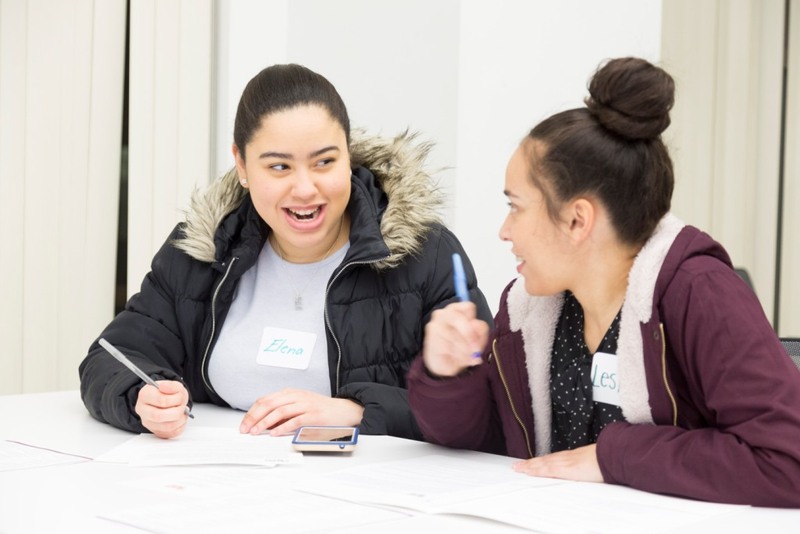 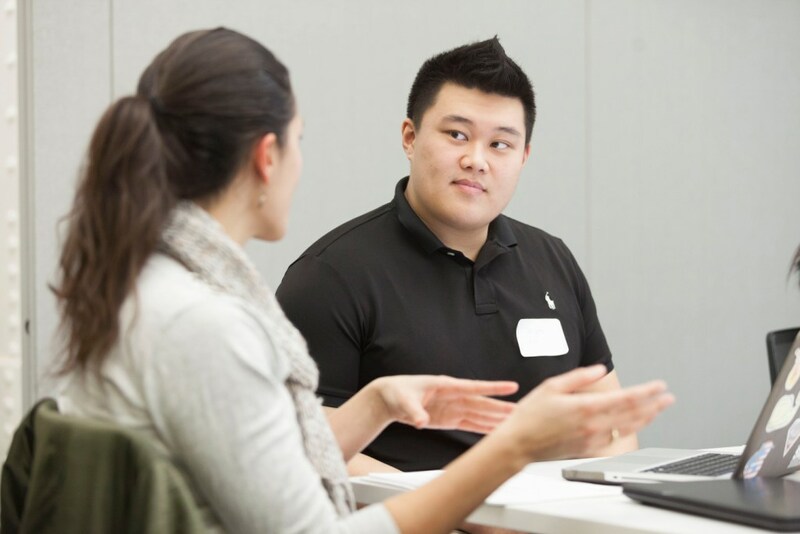 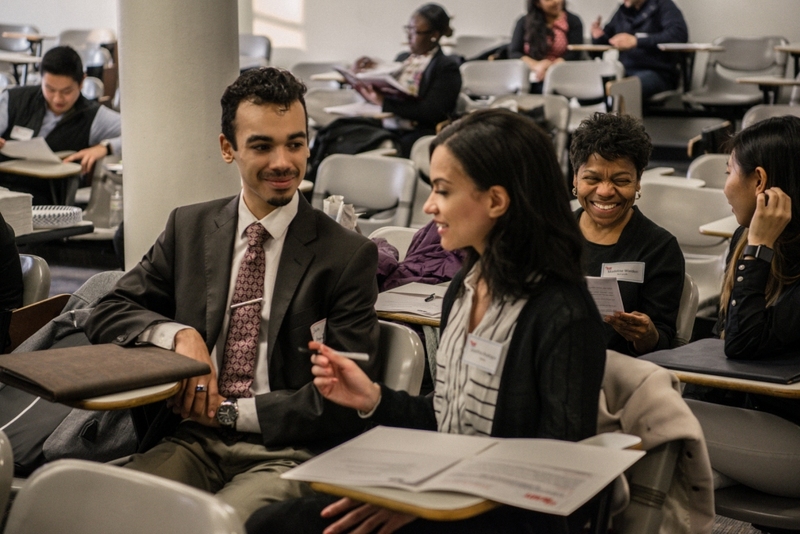 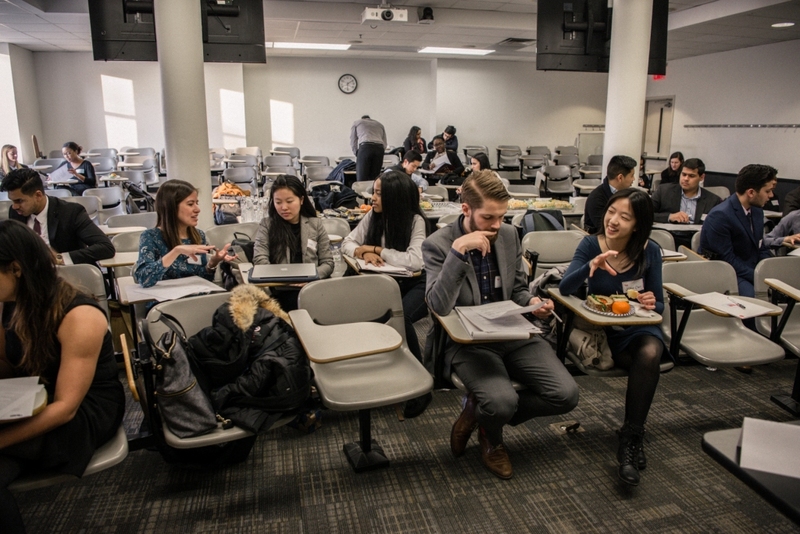 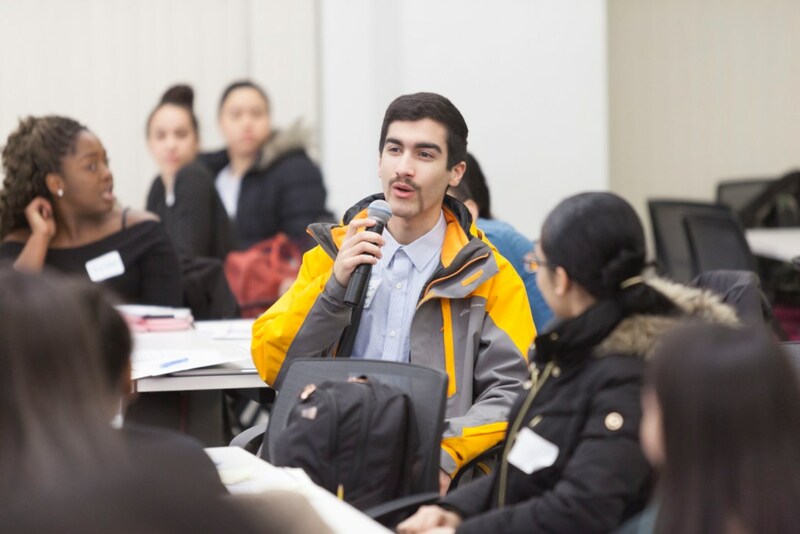 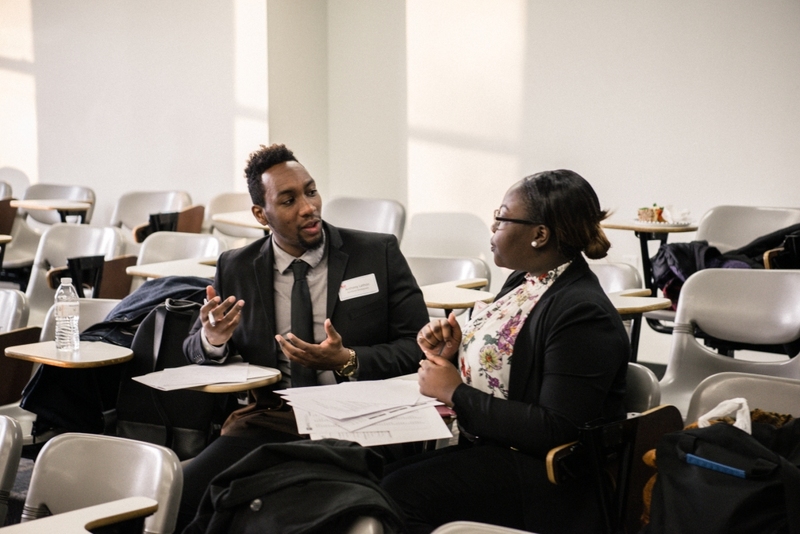 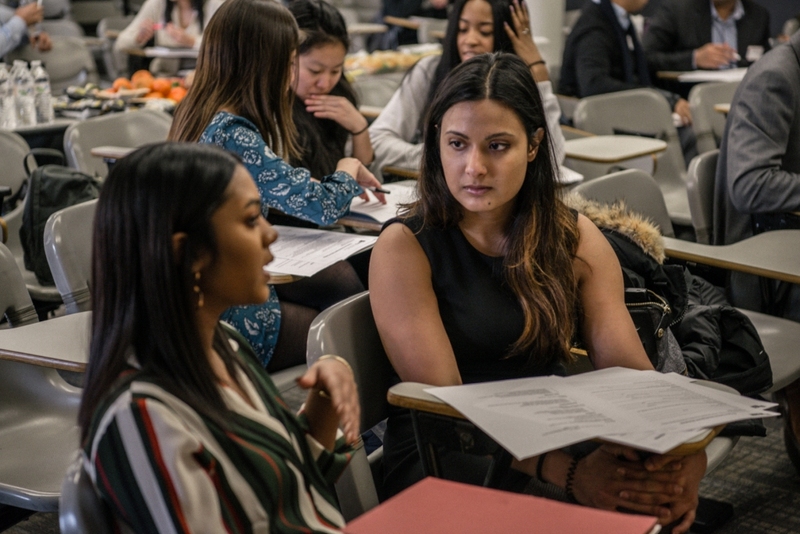 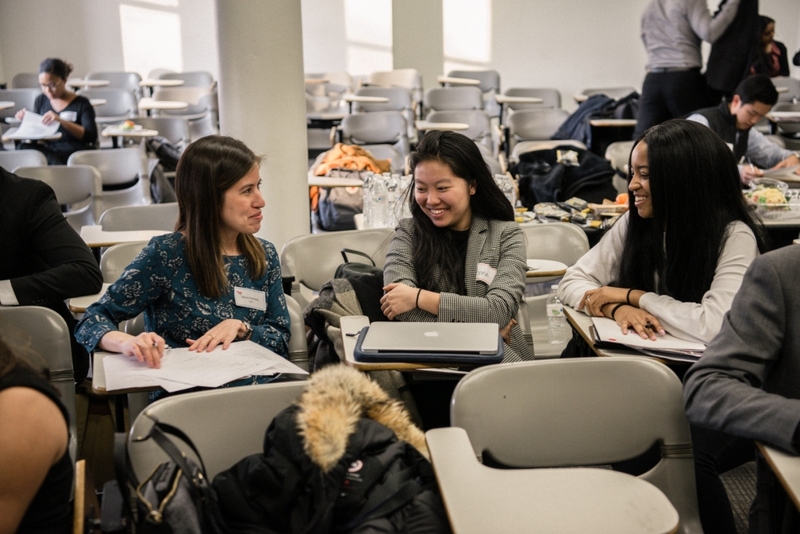 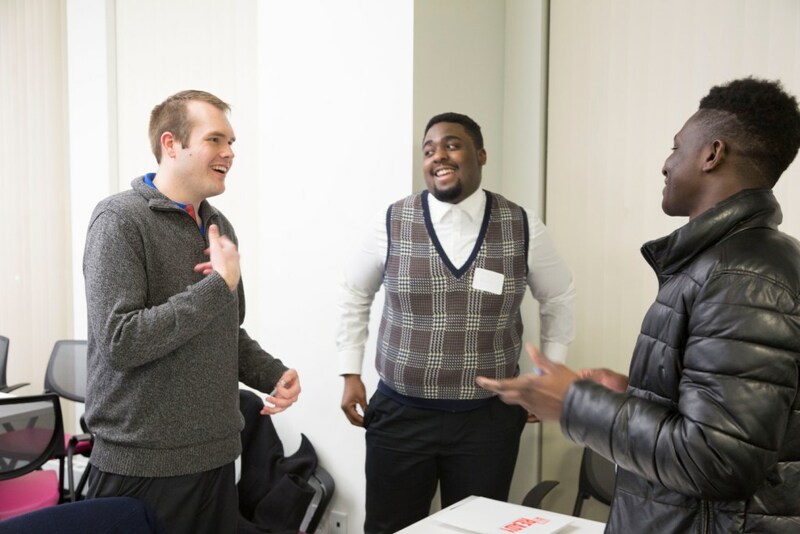 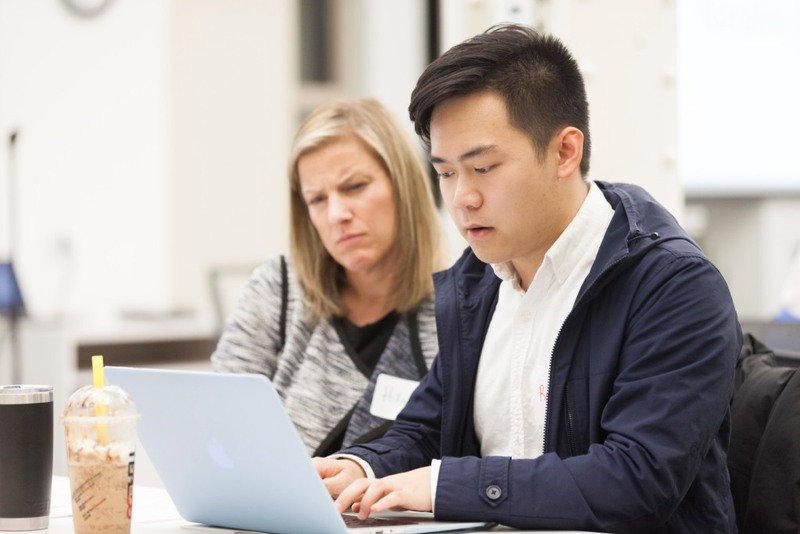 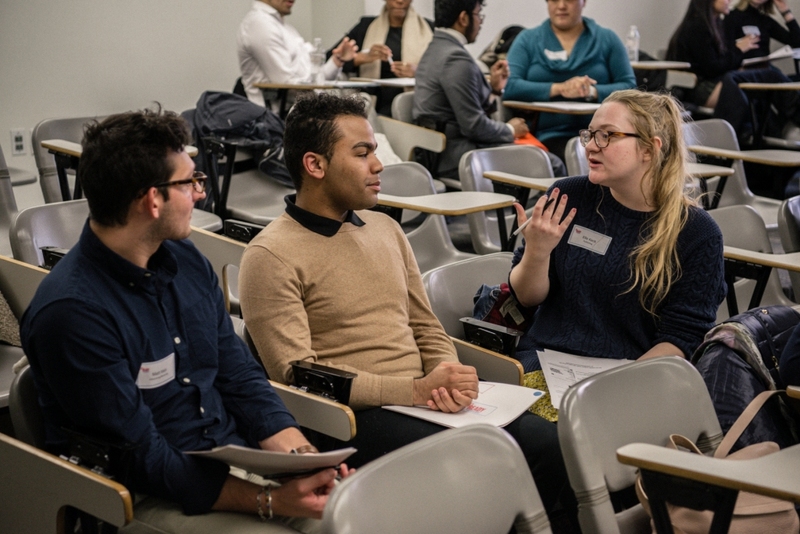 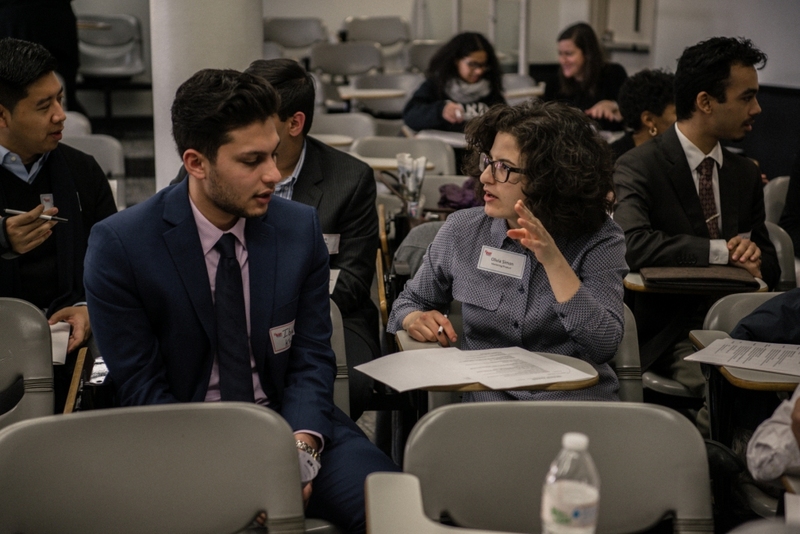 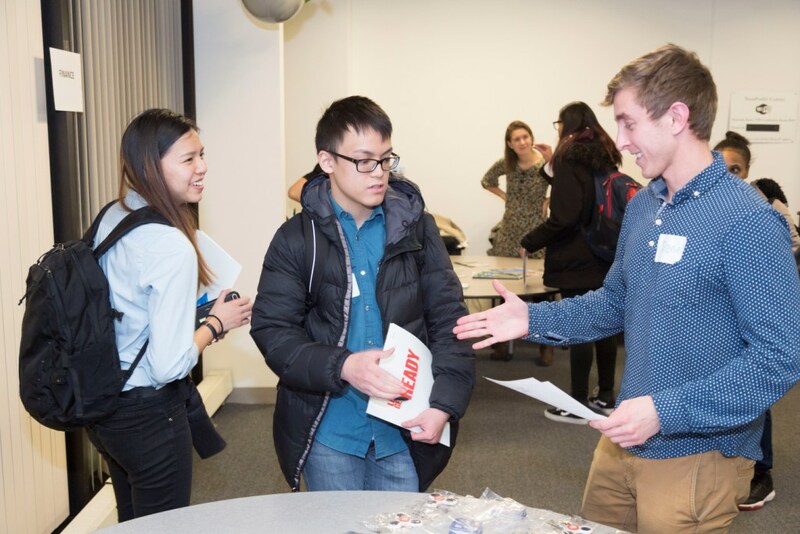 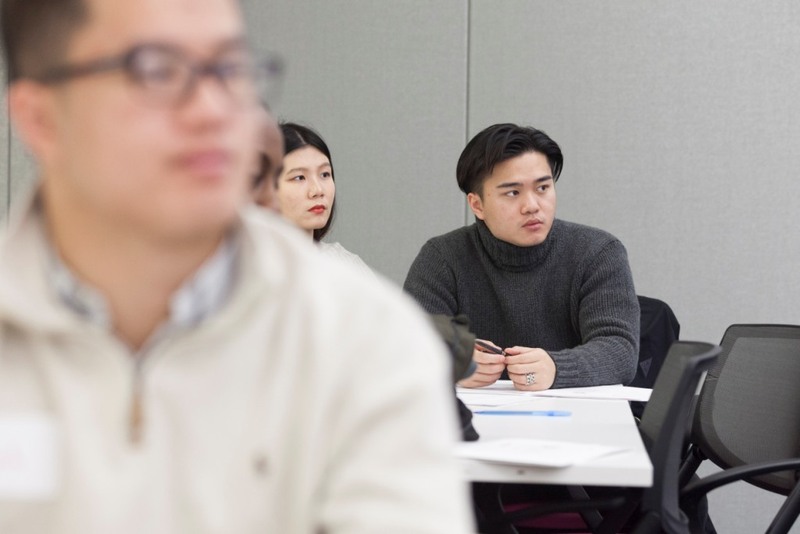 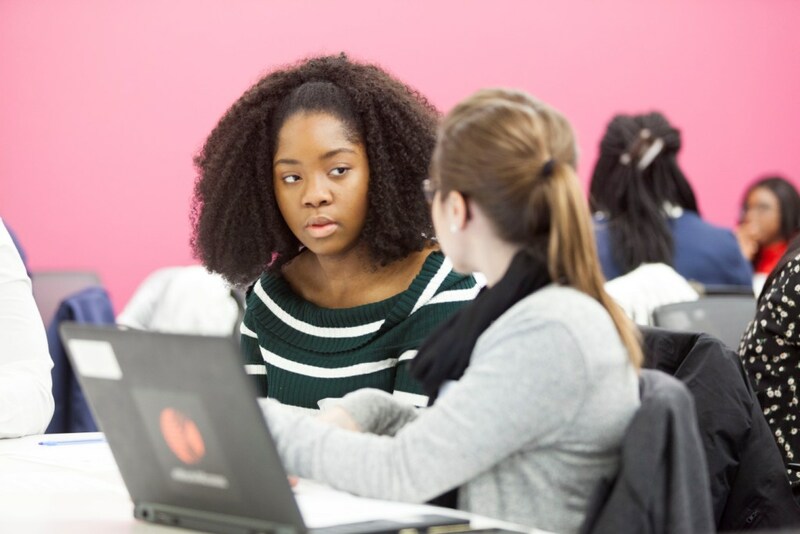 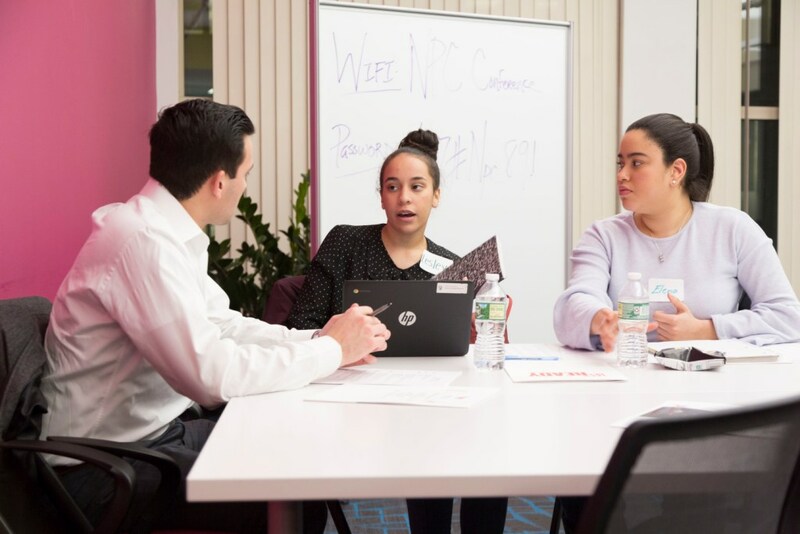 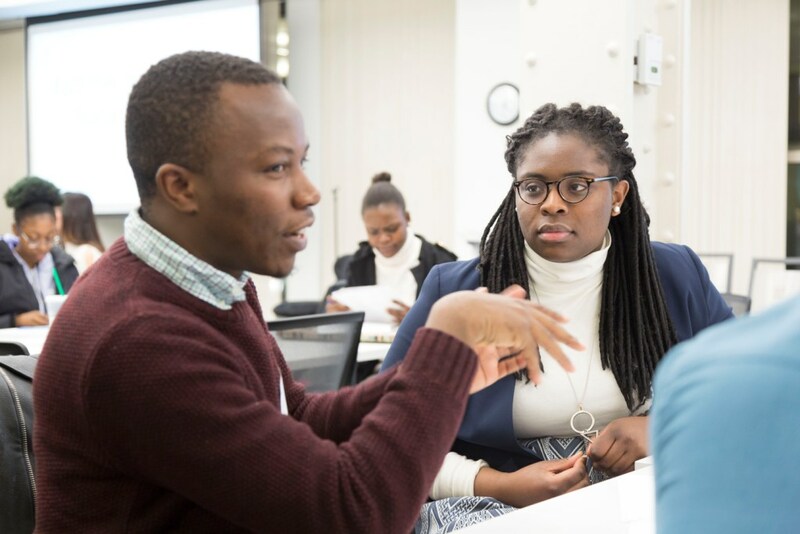 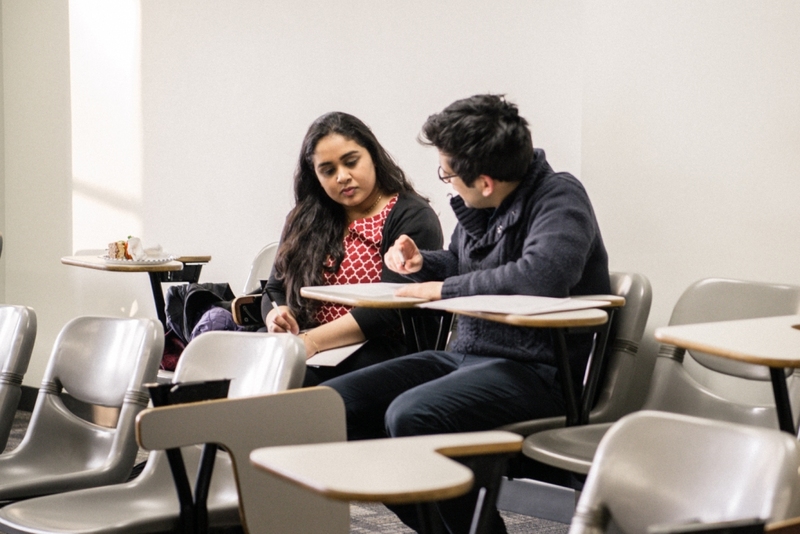 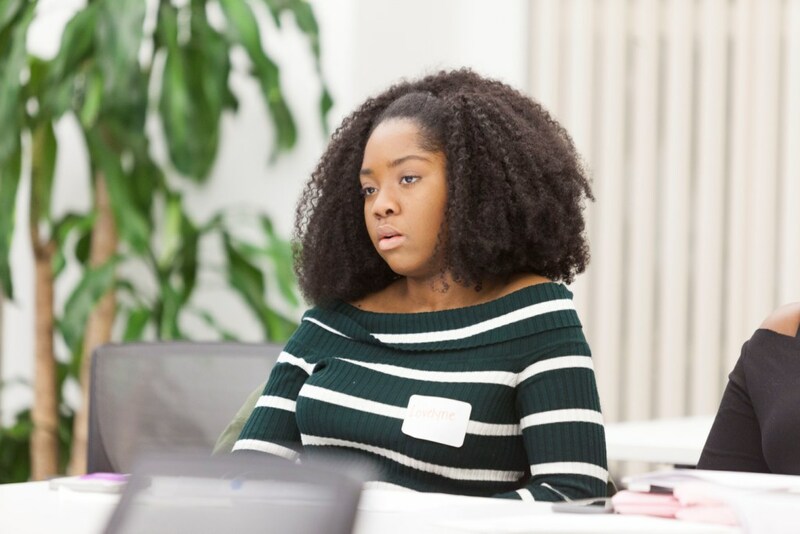 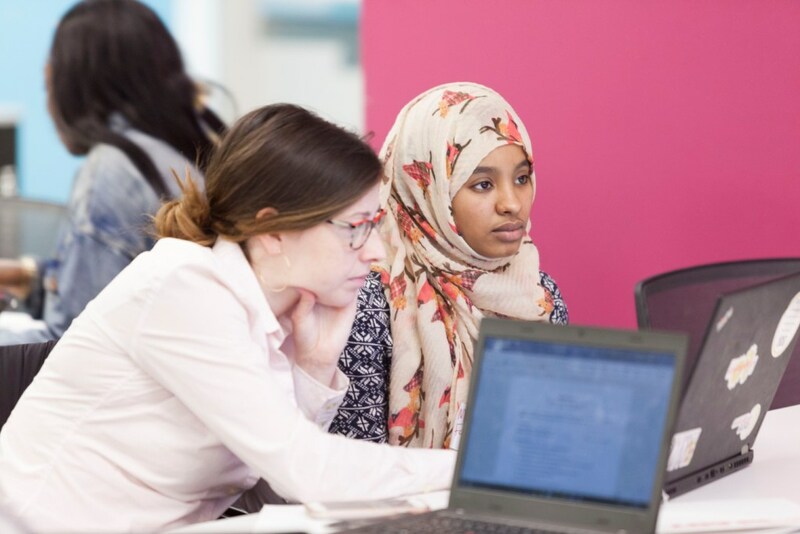 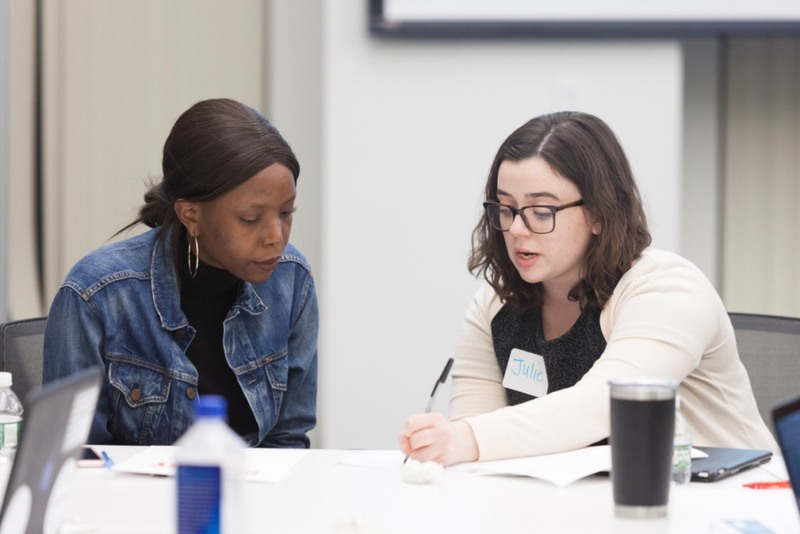 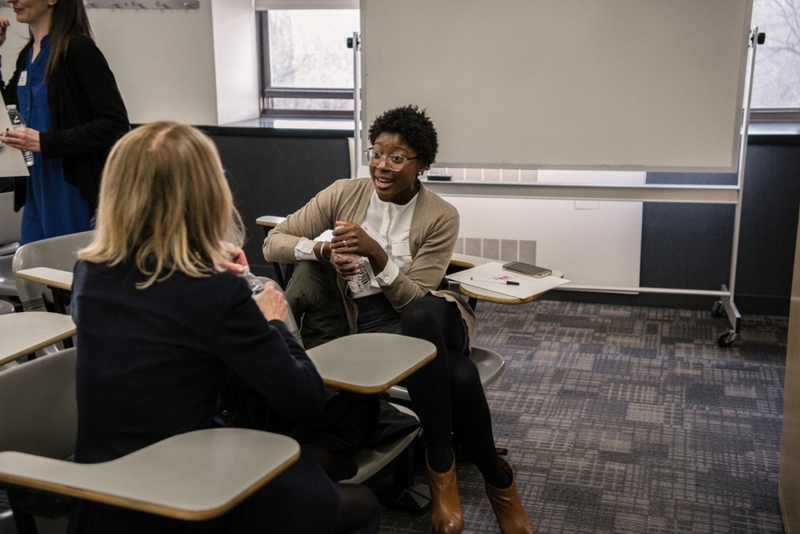 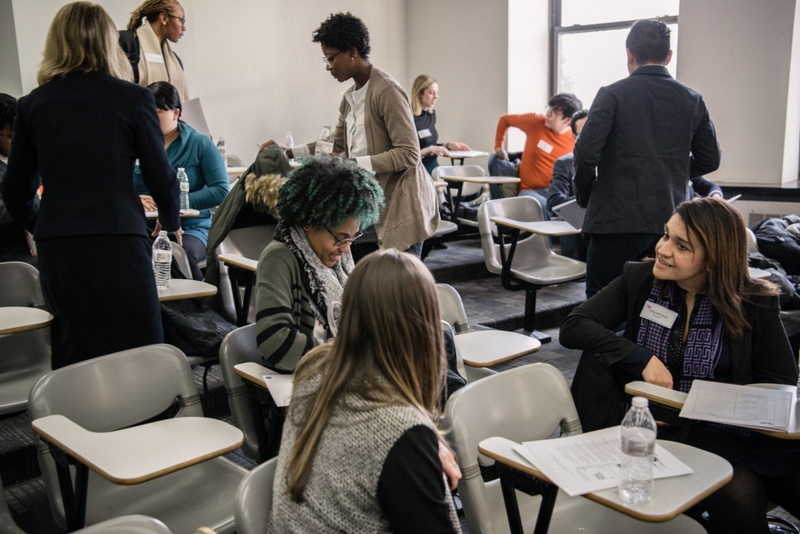 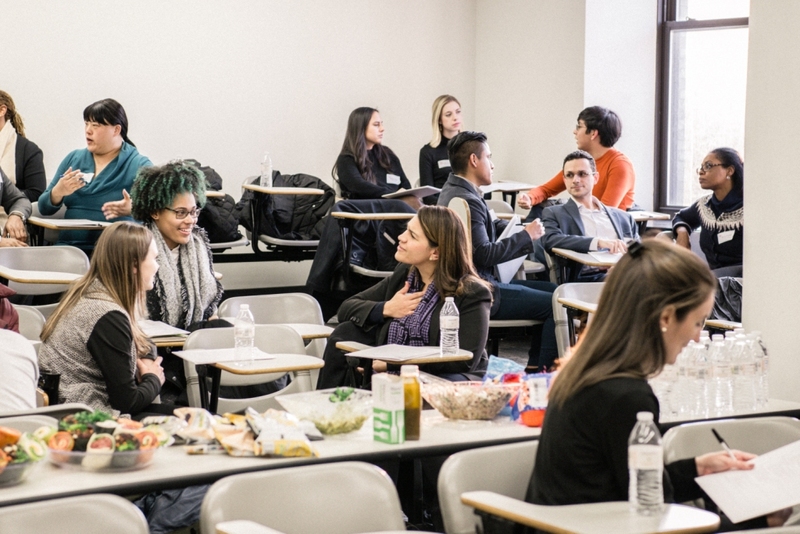 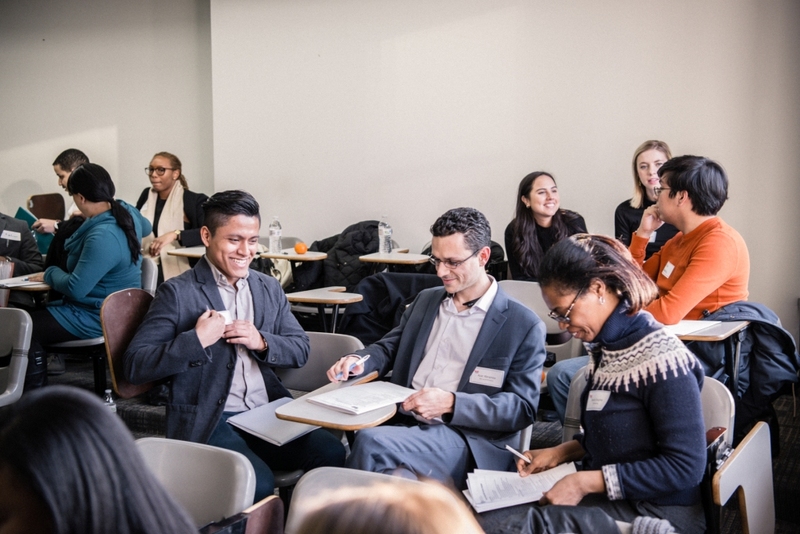 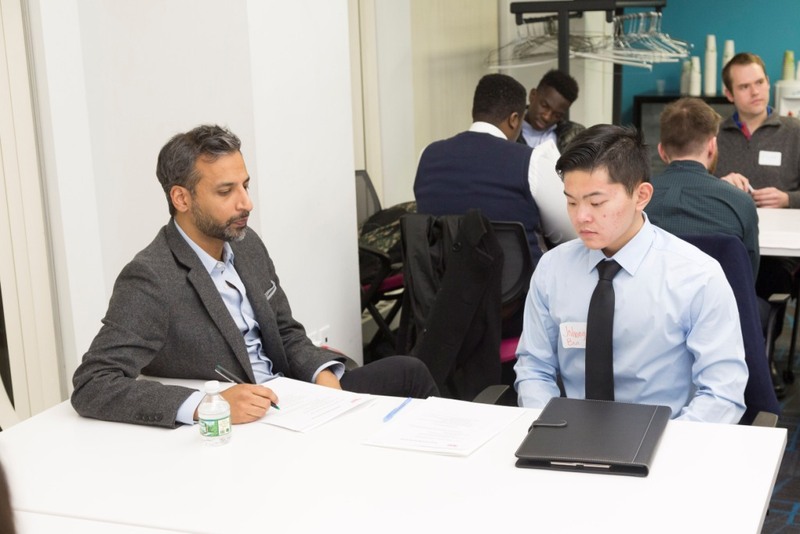 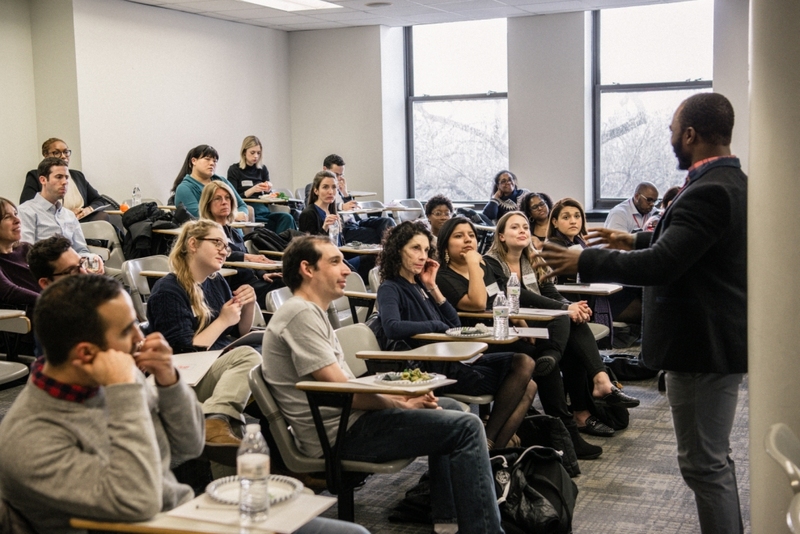 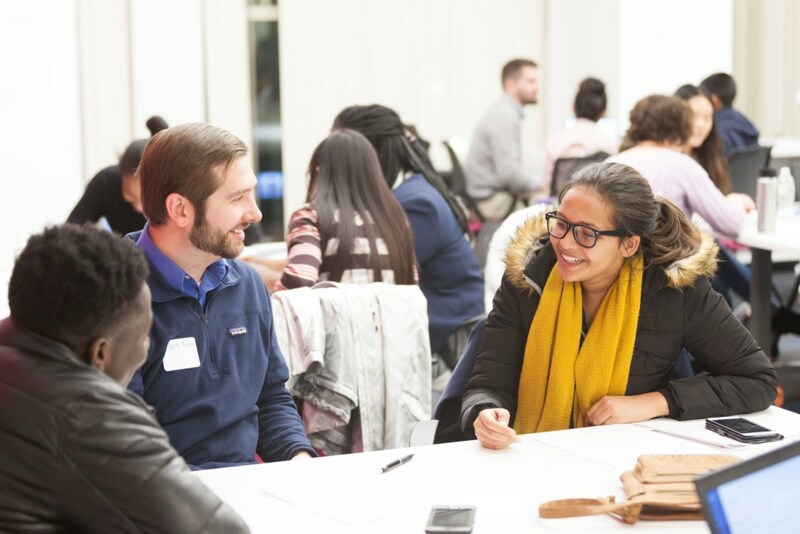 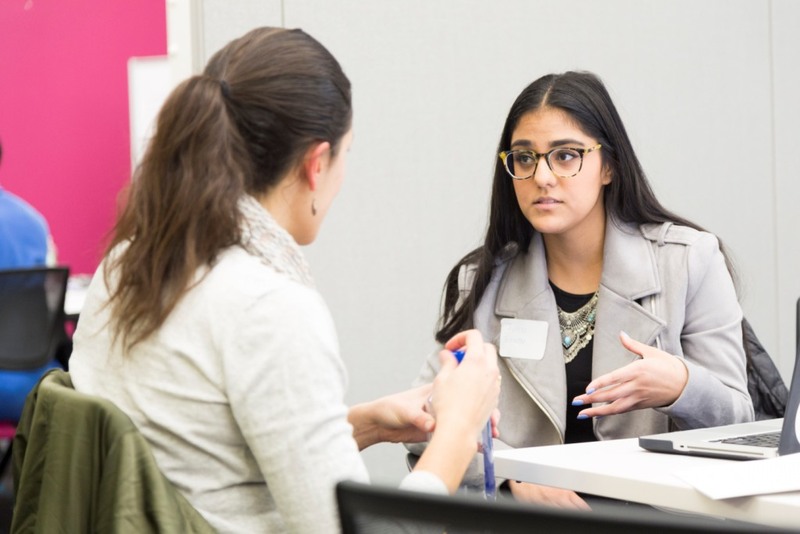 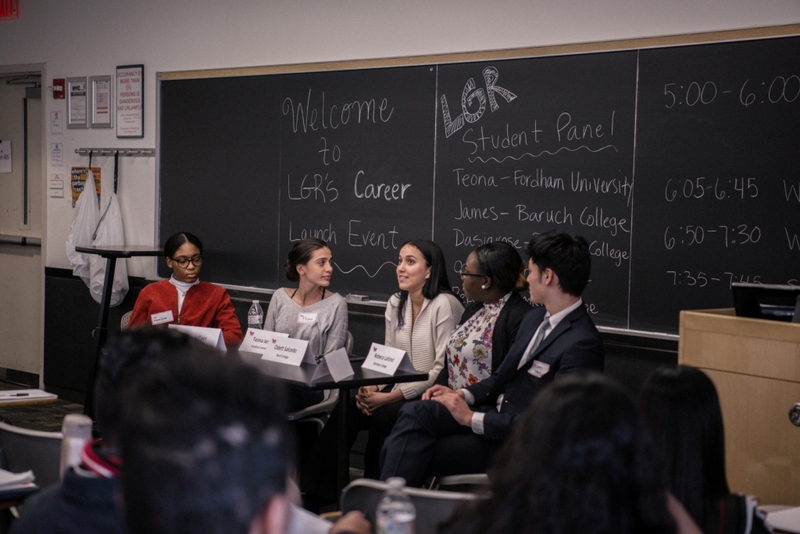 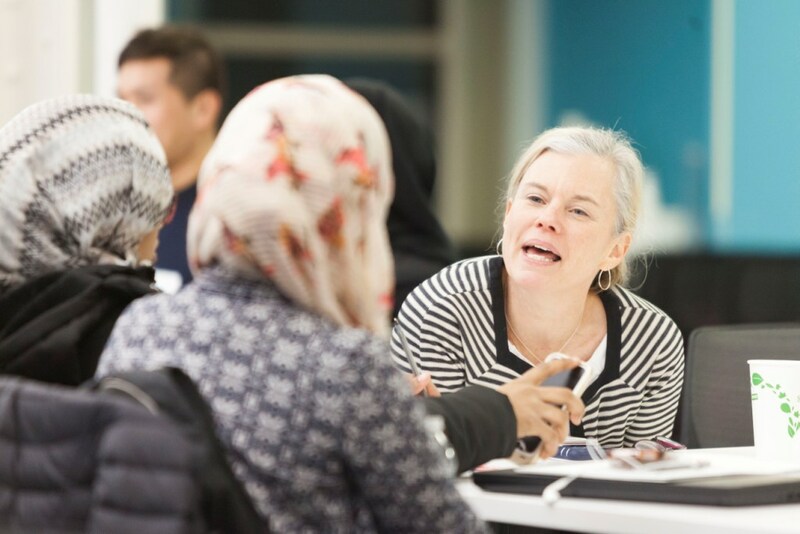 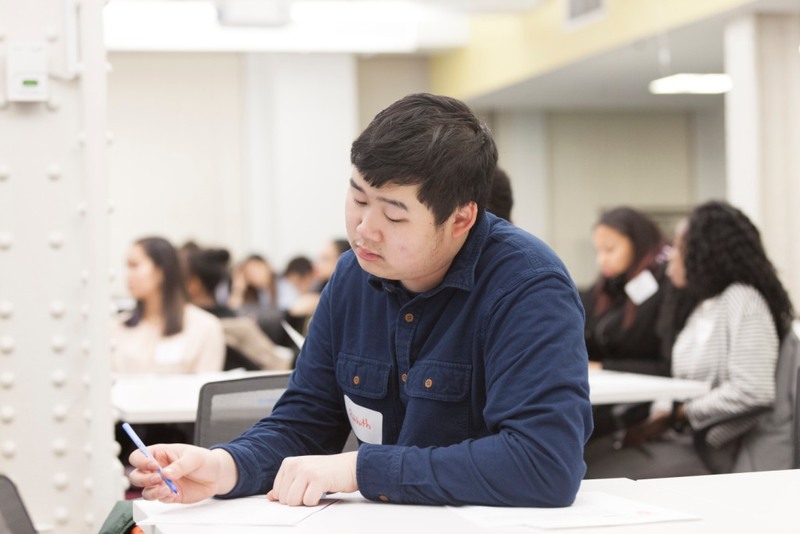 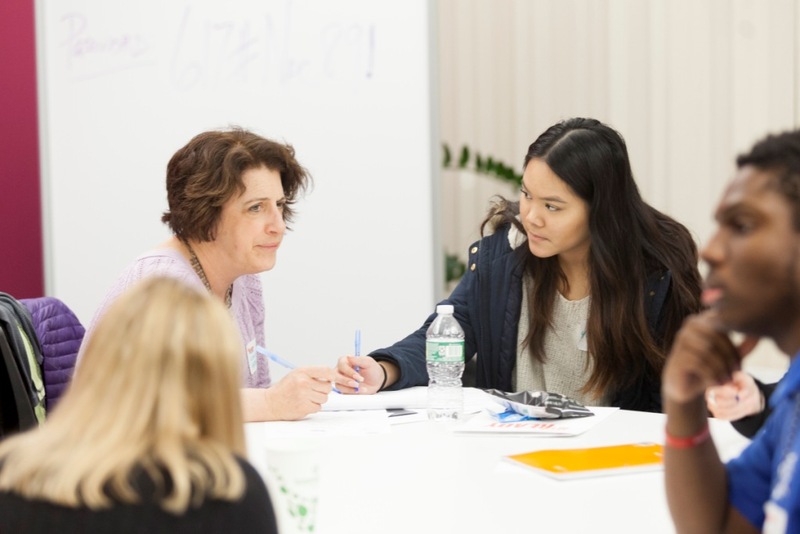 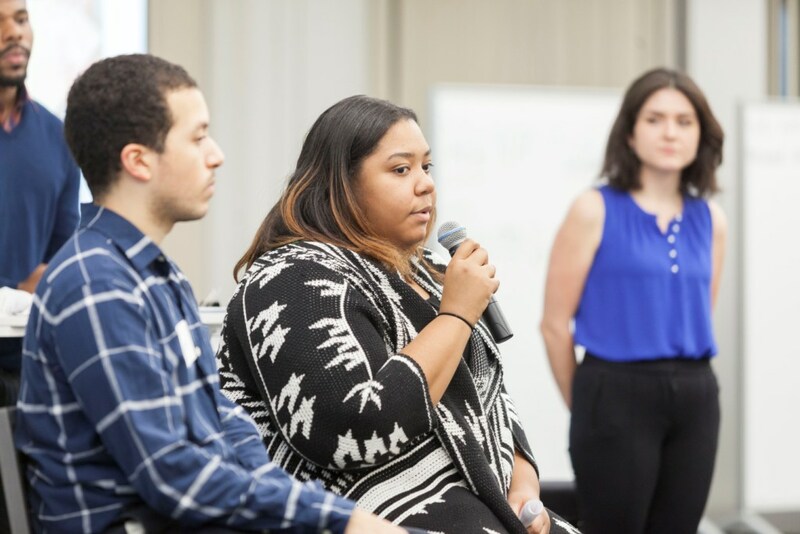 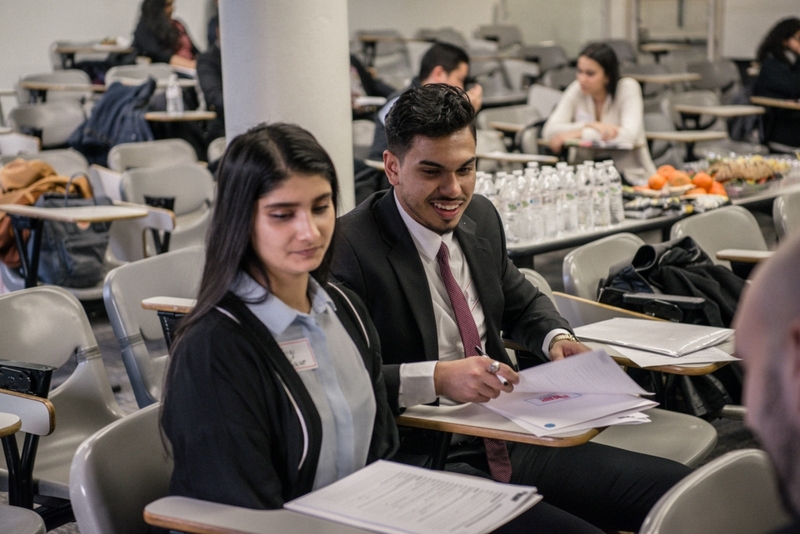 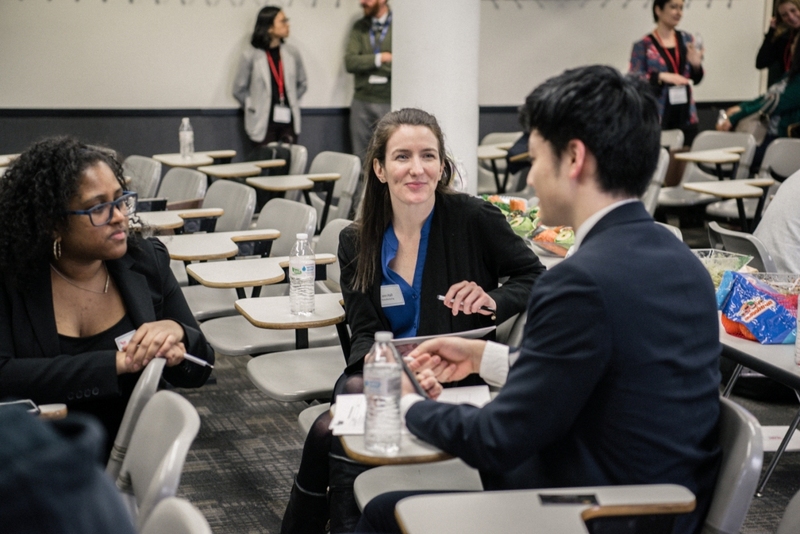 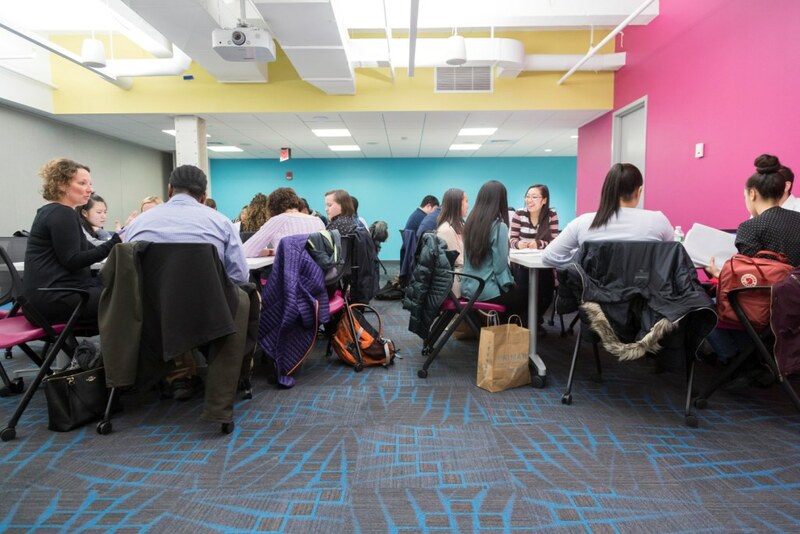 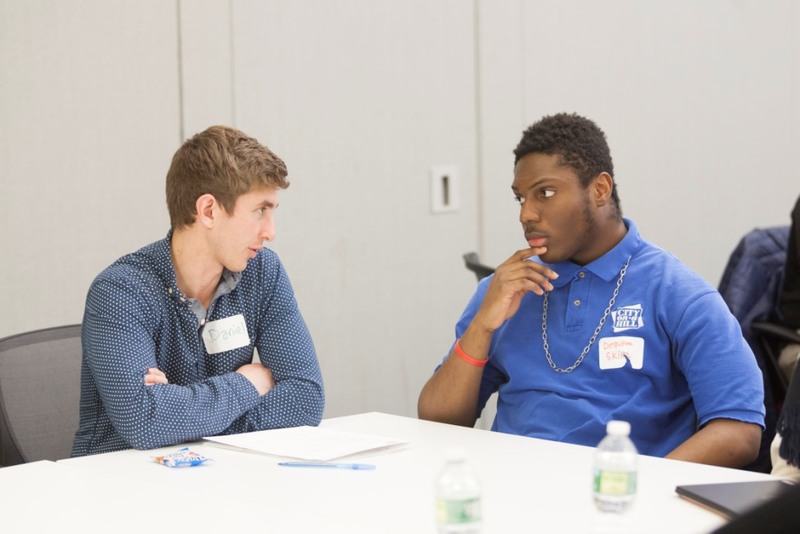 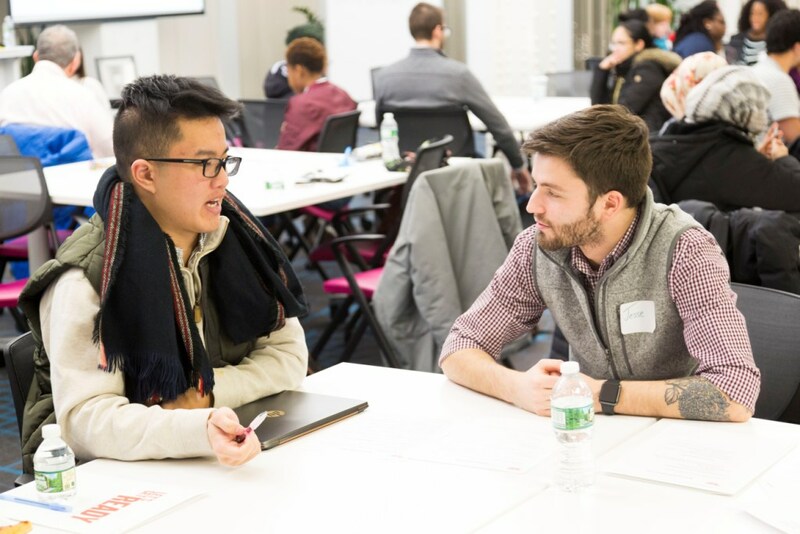 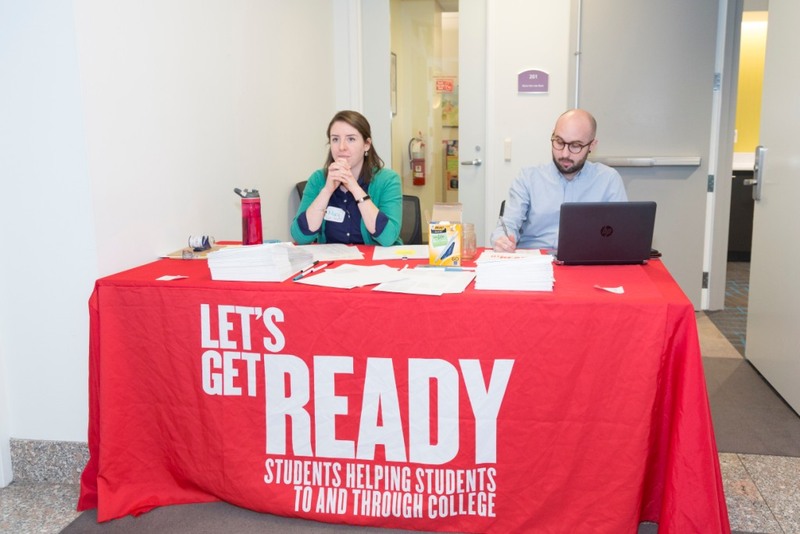 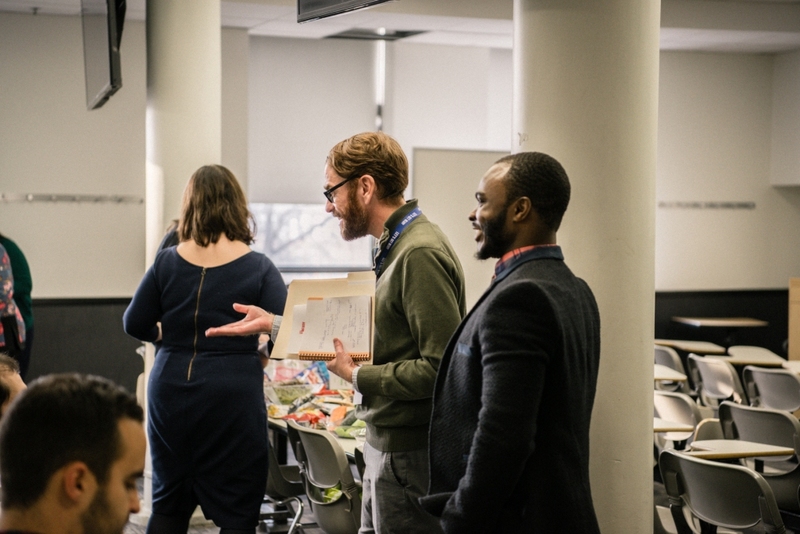 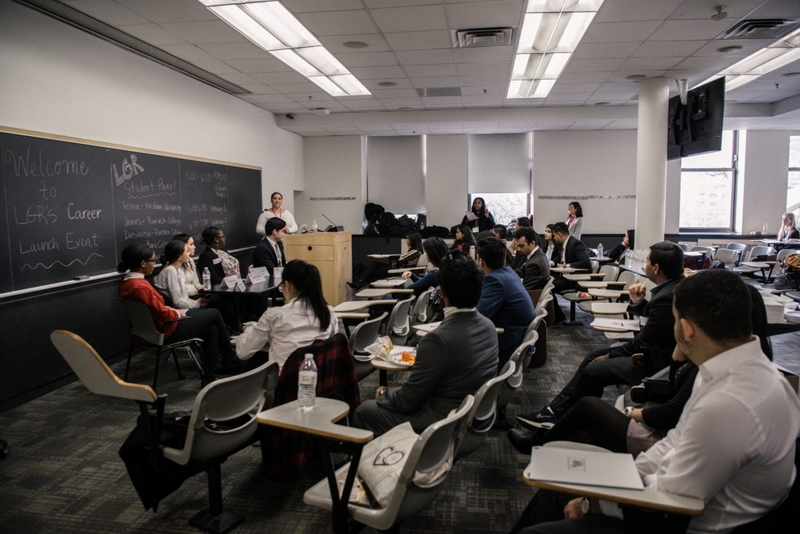 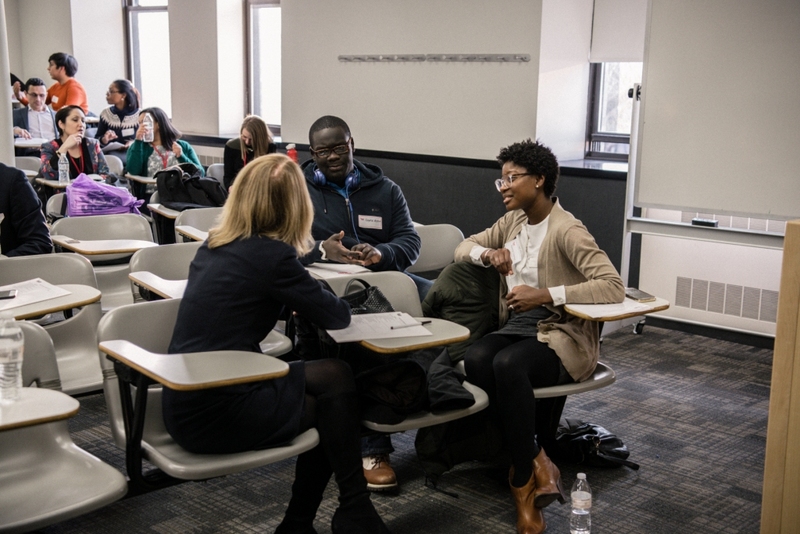 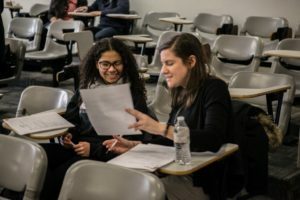 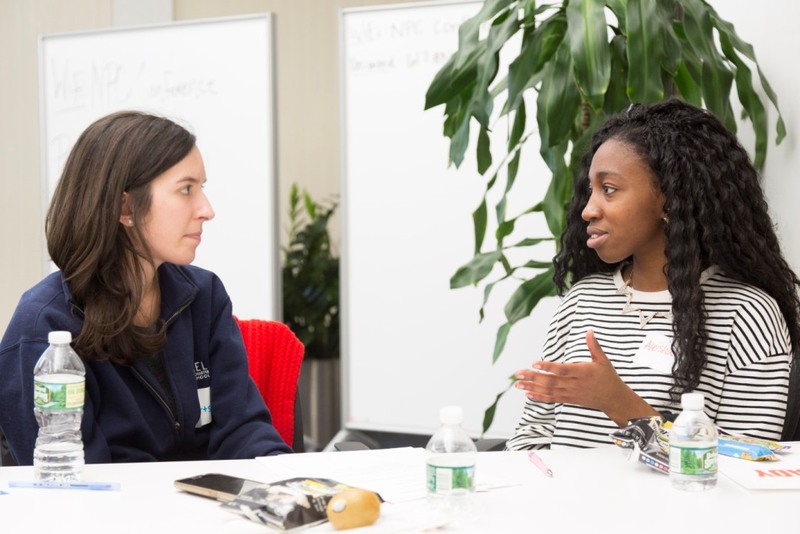 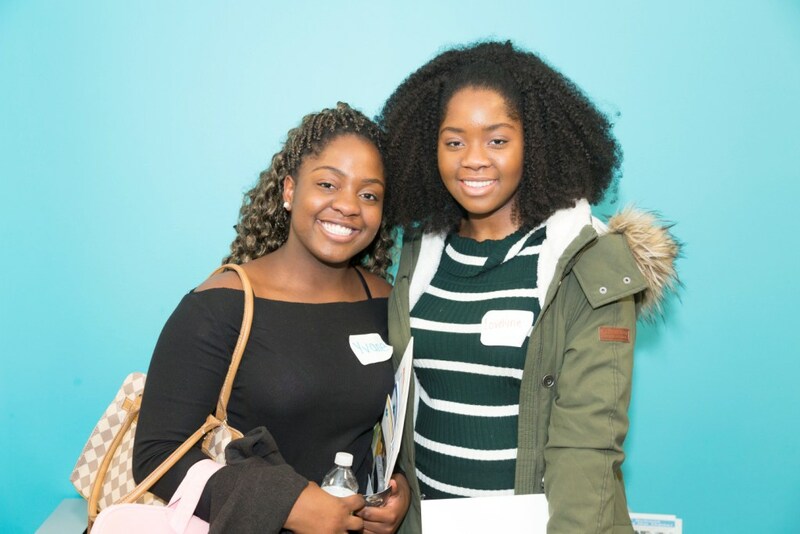 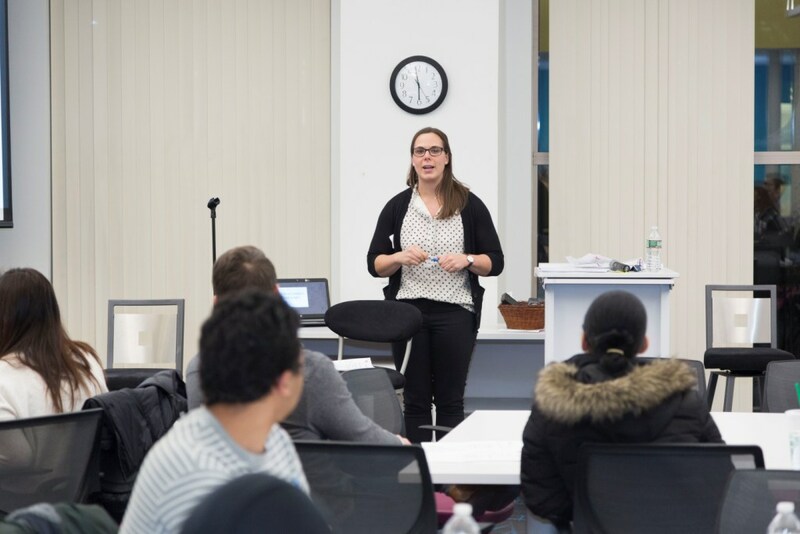 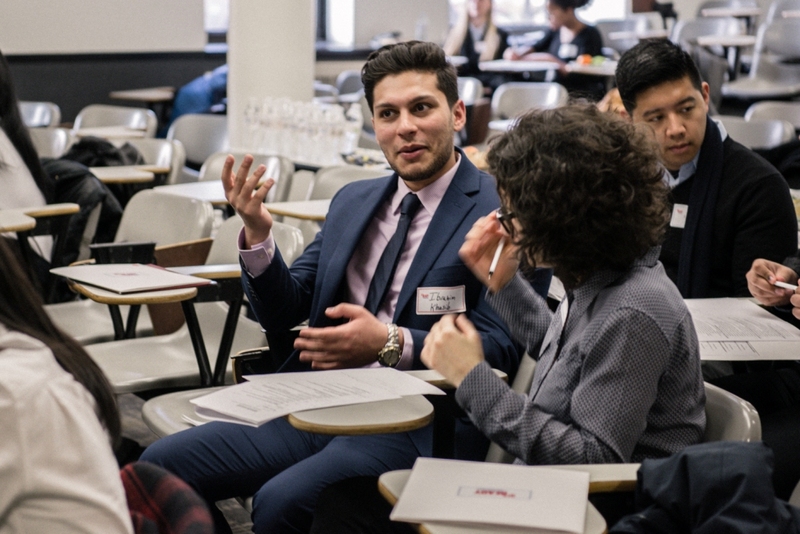 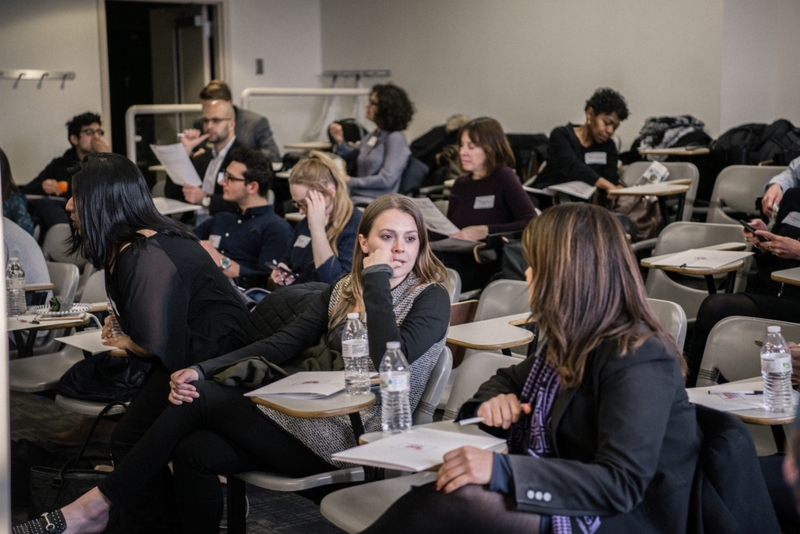 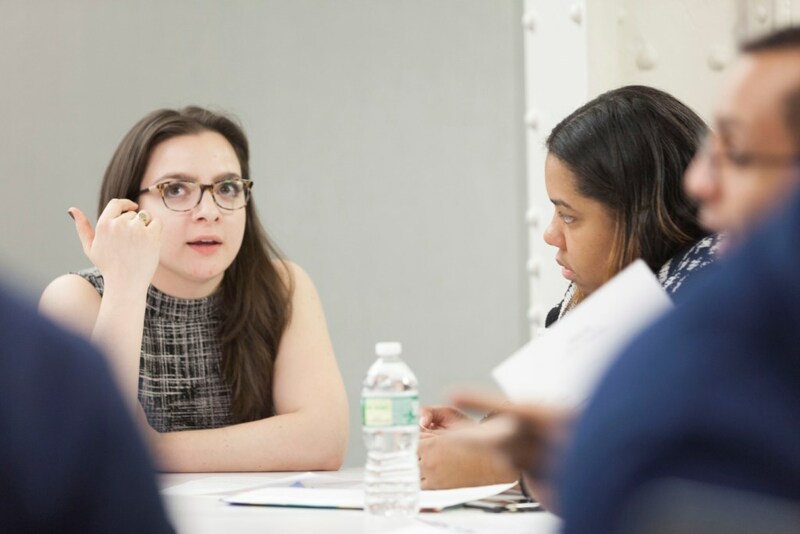 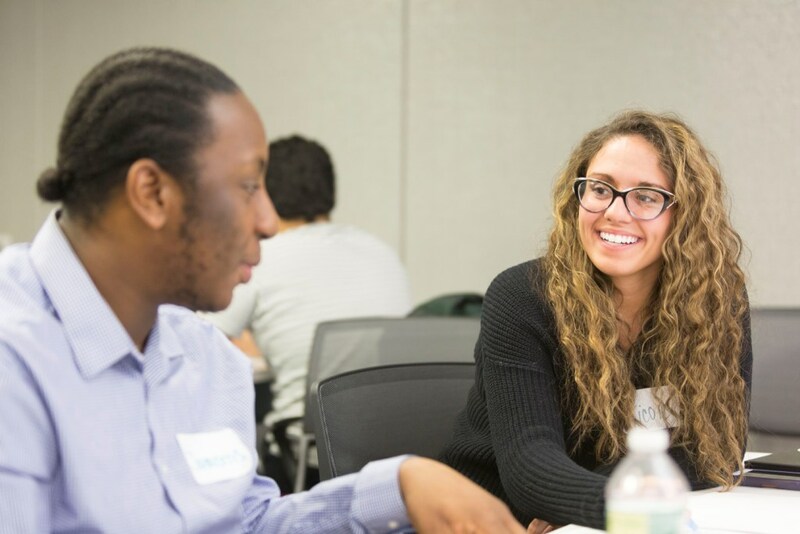 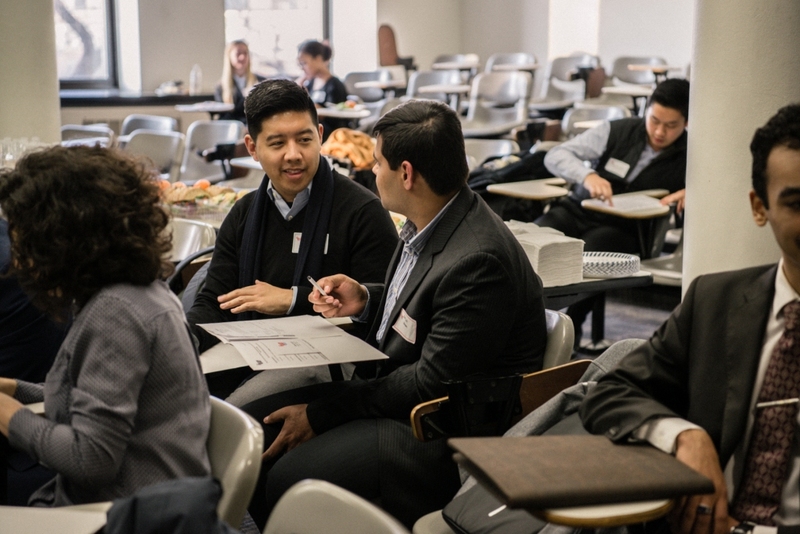 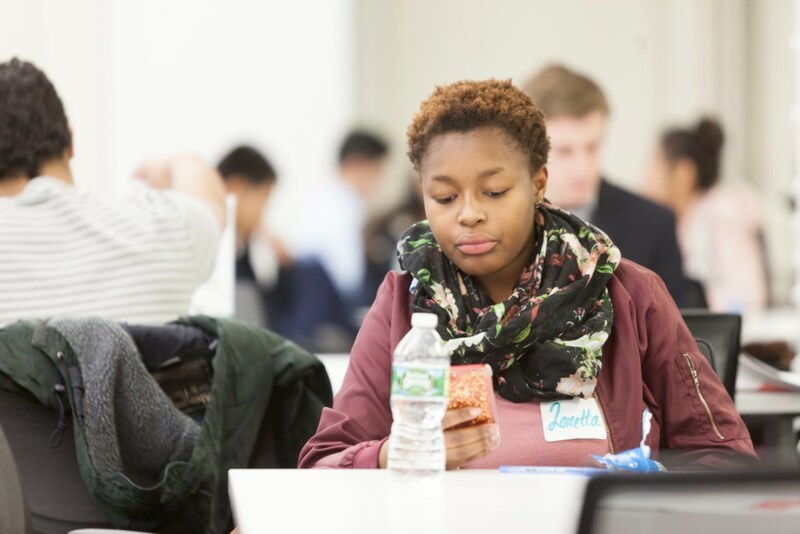 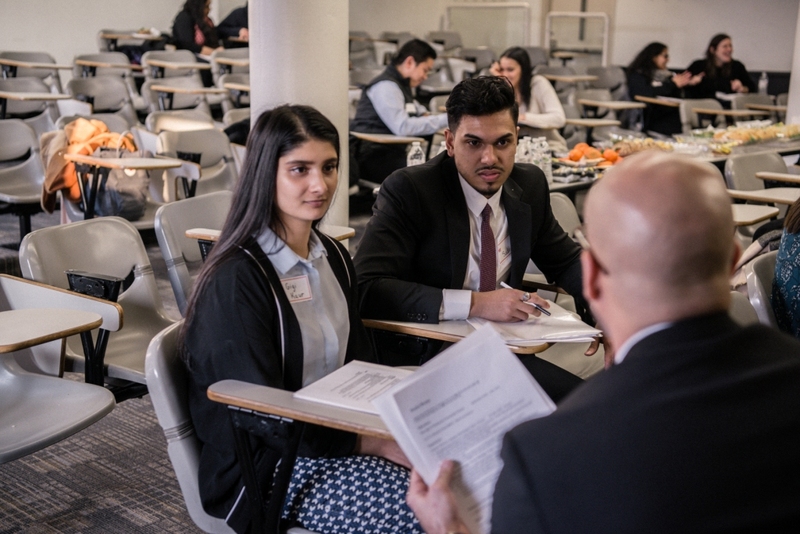 On March 15 at NYU’s Silver Center, 30 college students working with Let’s Get Ready’s College Success Program met with employees from a variety of companies and roles for a Career Launch event. 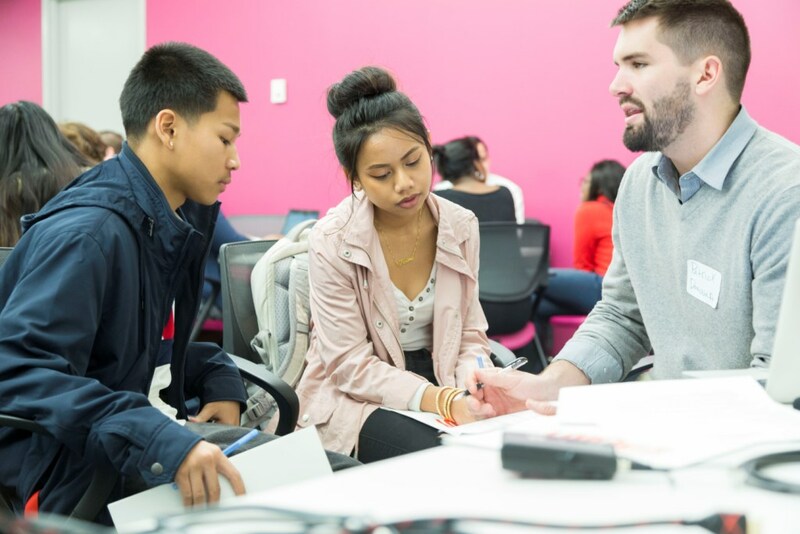 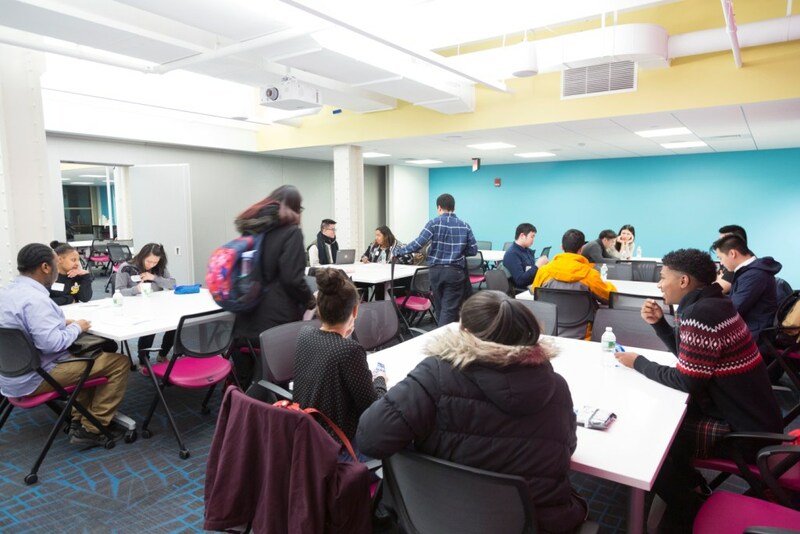 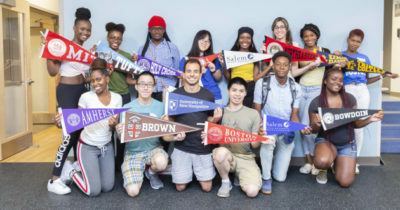 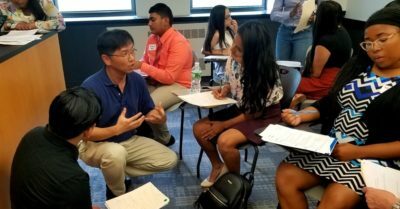 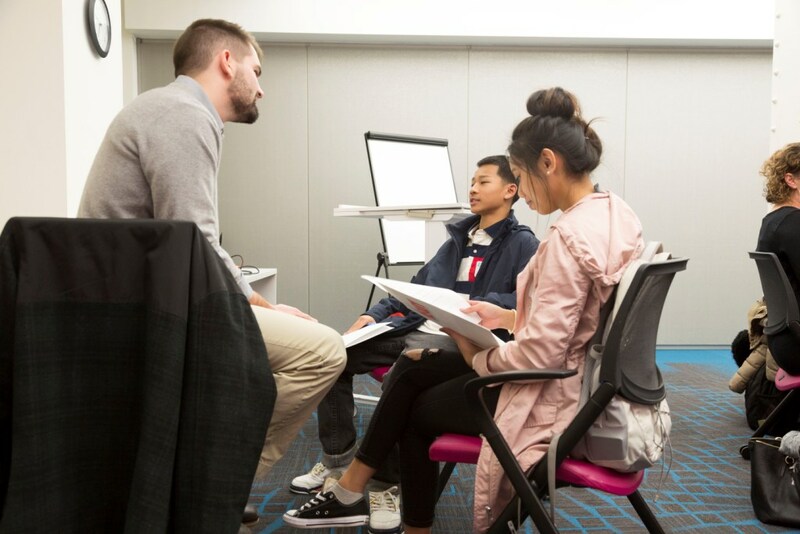 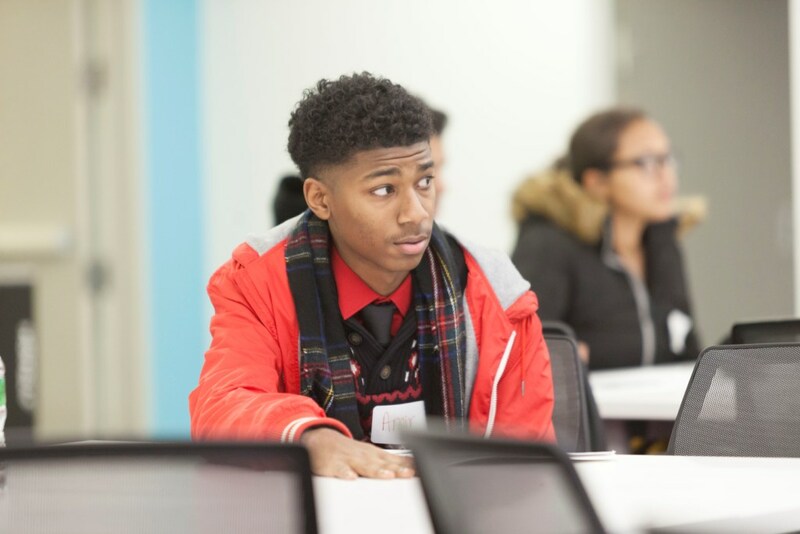 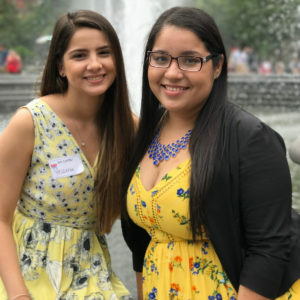 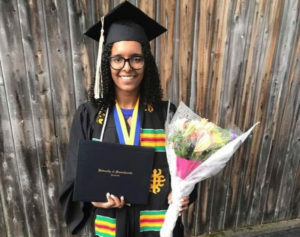 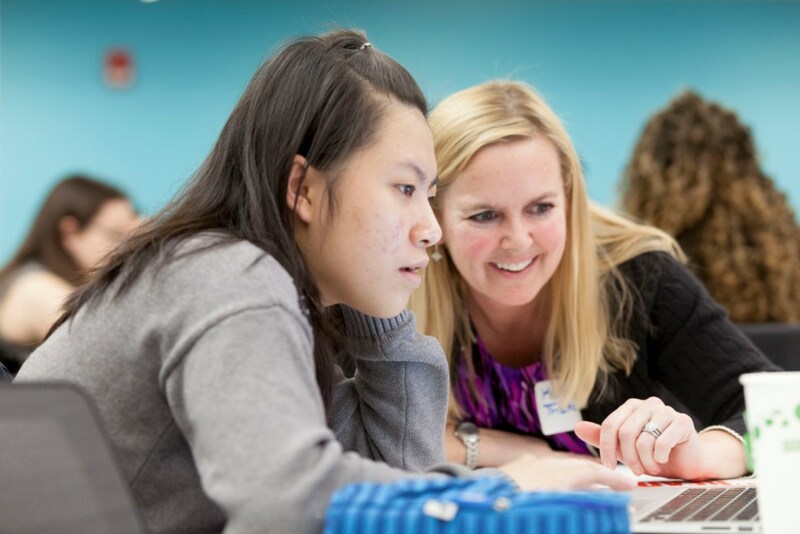 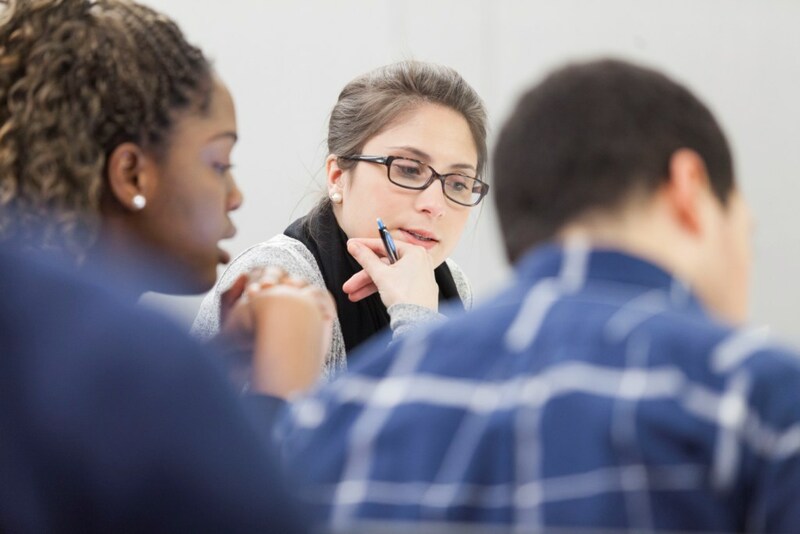 The students are alumni of Let’s Get Ready’s College Access Program, which provides free SAT prep and college admissions guidance to students from low-income backgrounds, and are now being mentored by the organization as they earn their college degrees. 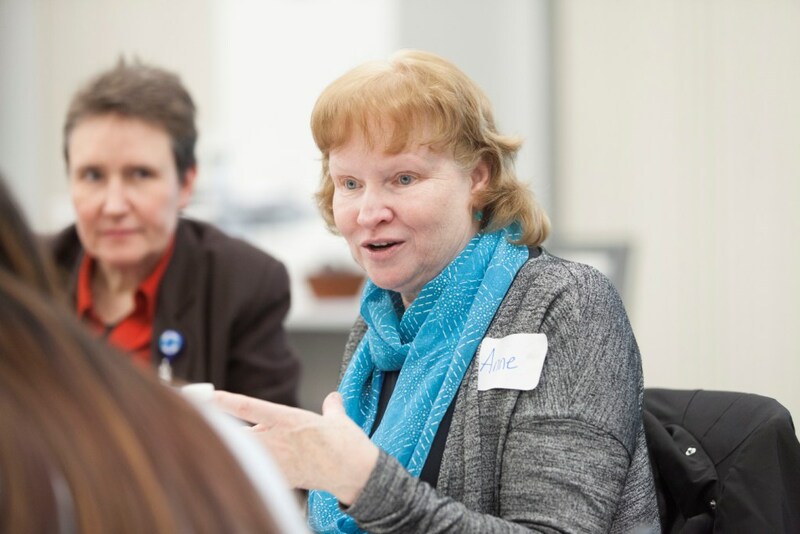 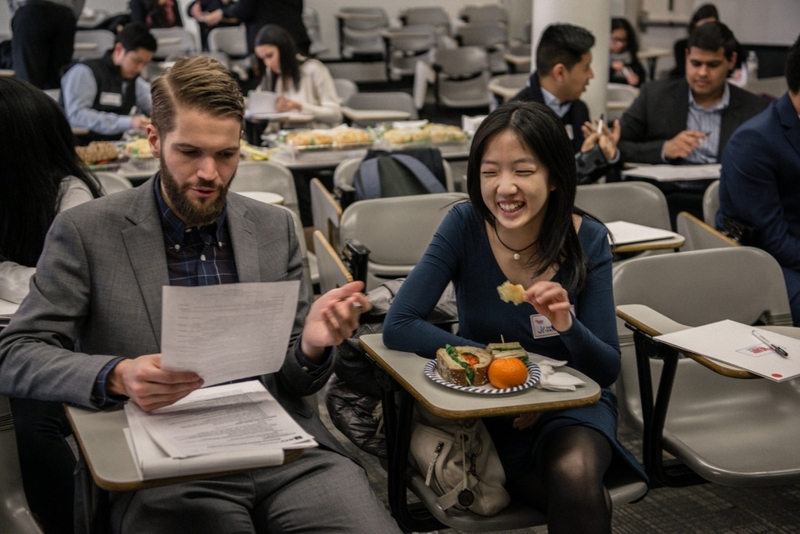 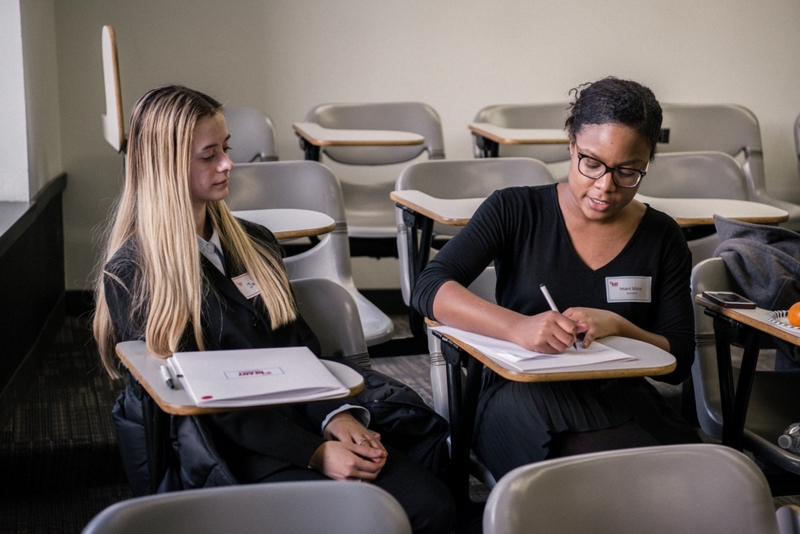 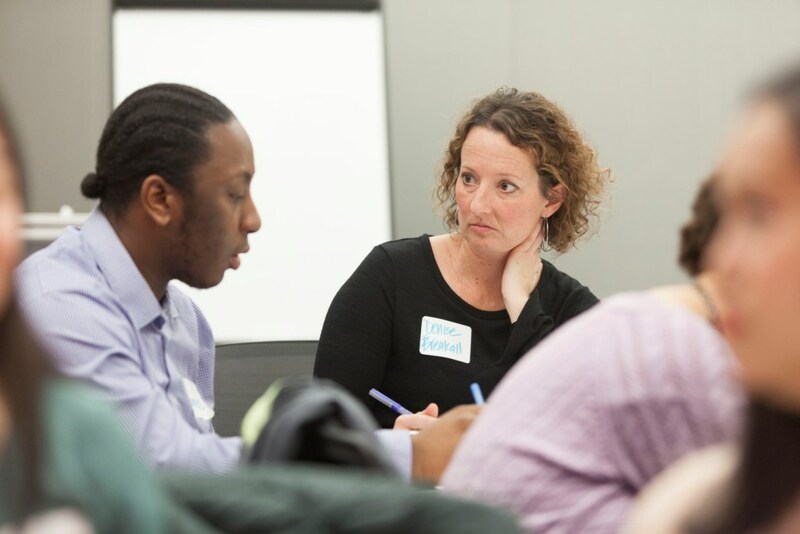 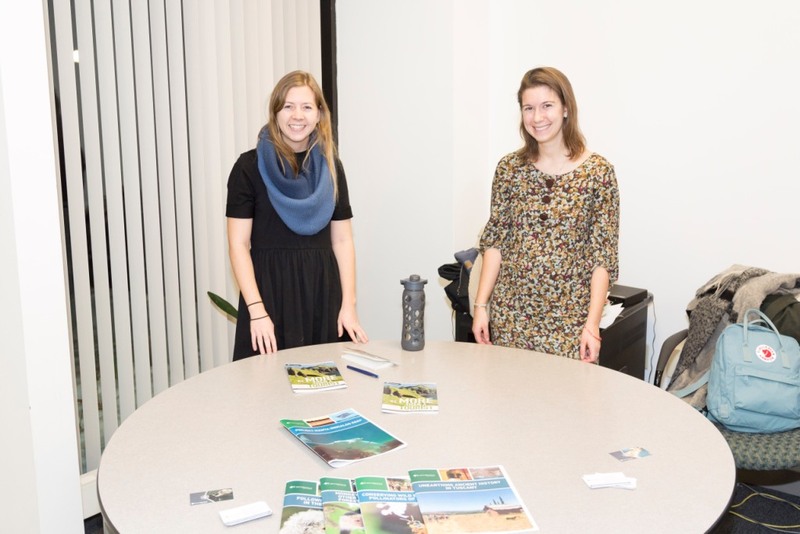 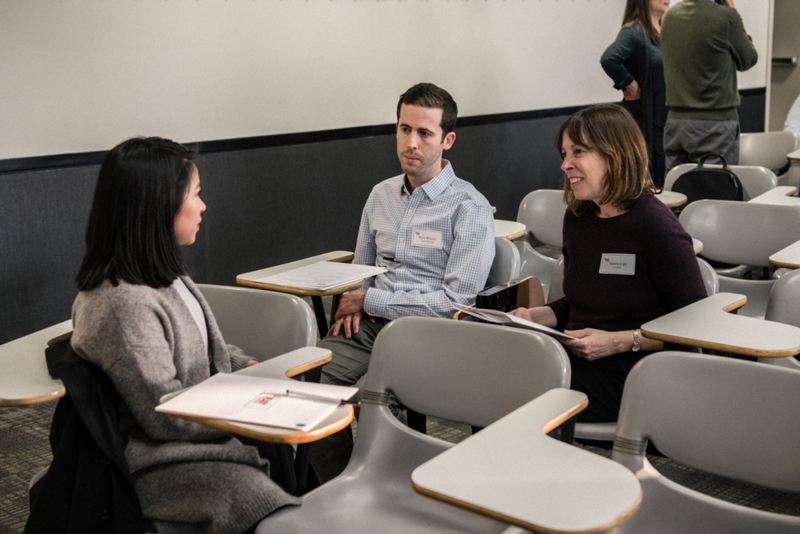 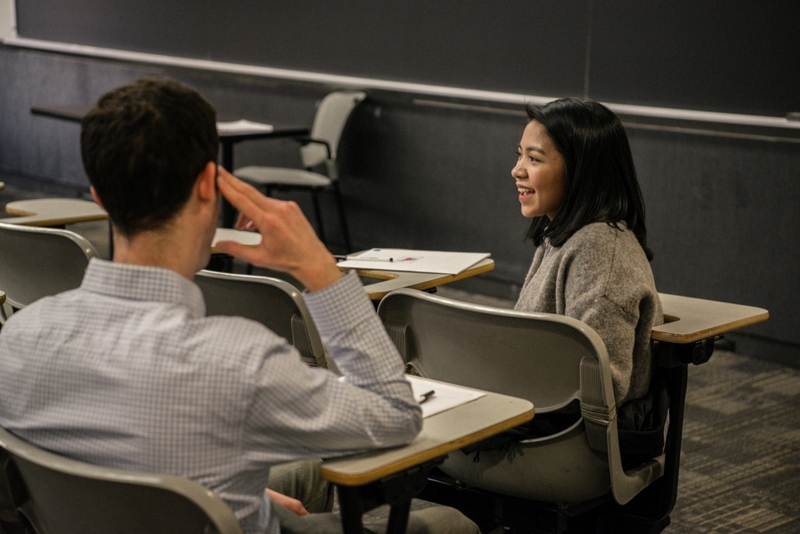 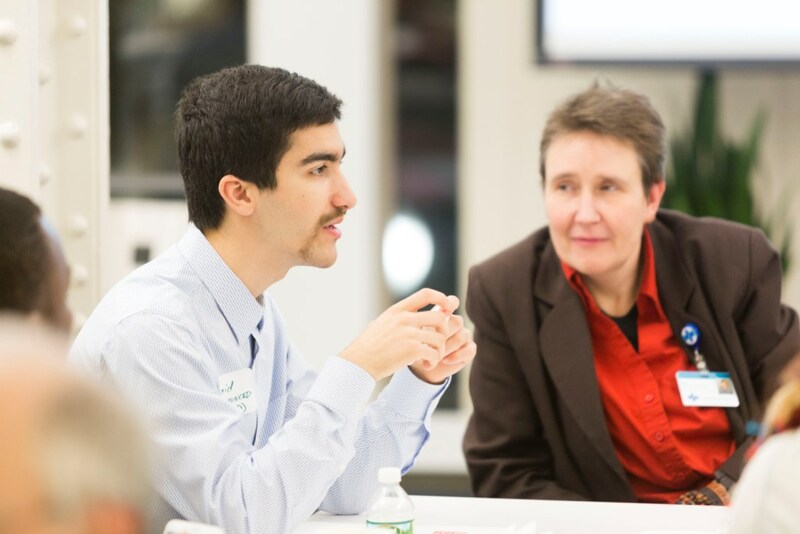 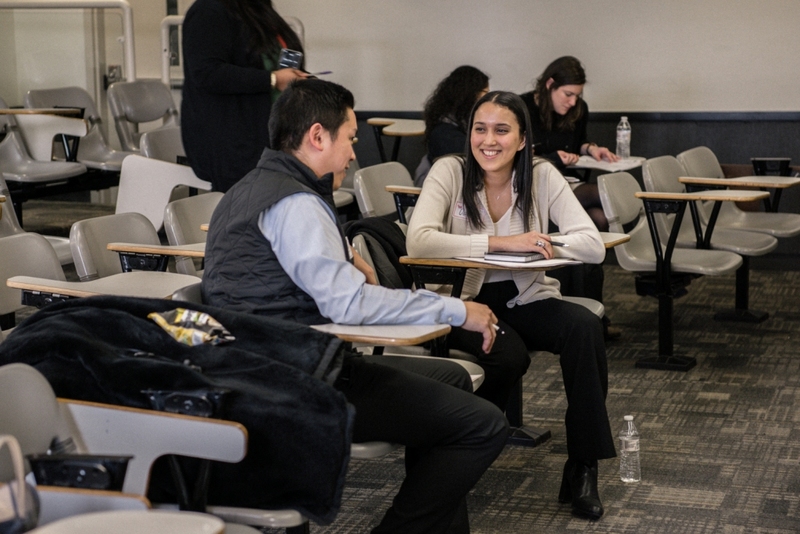 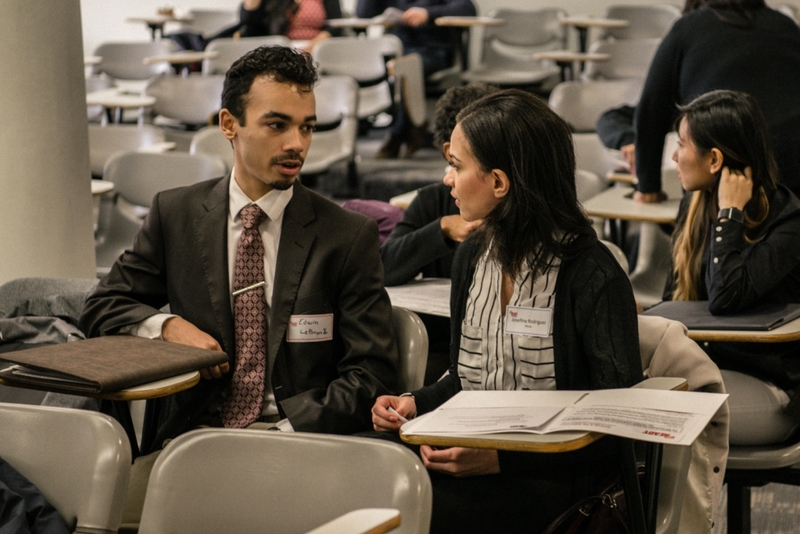 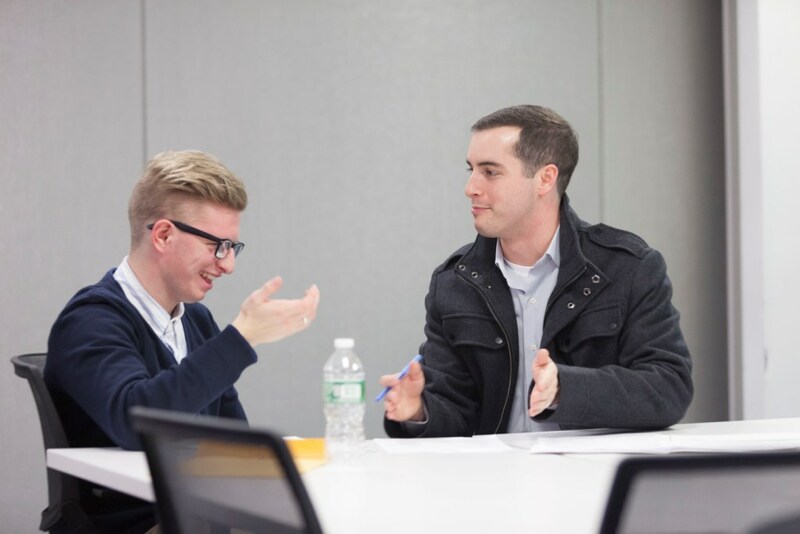 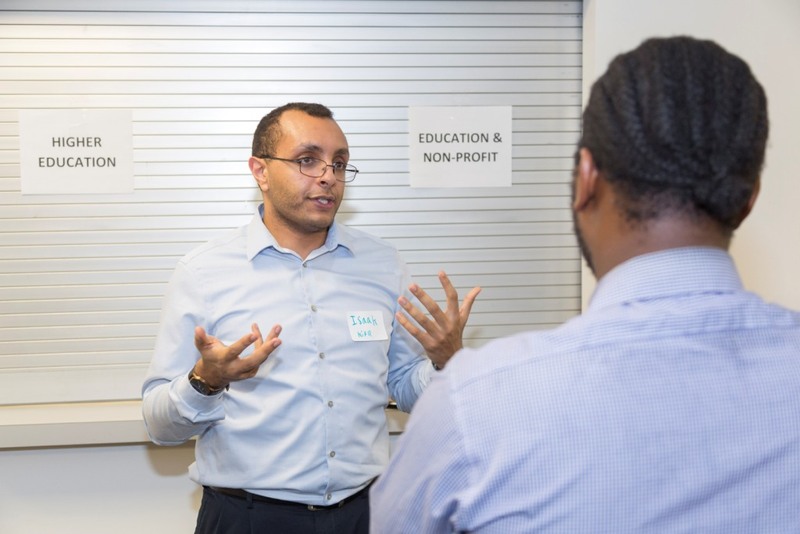 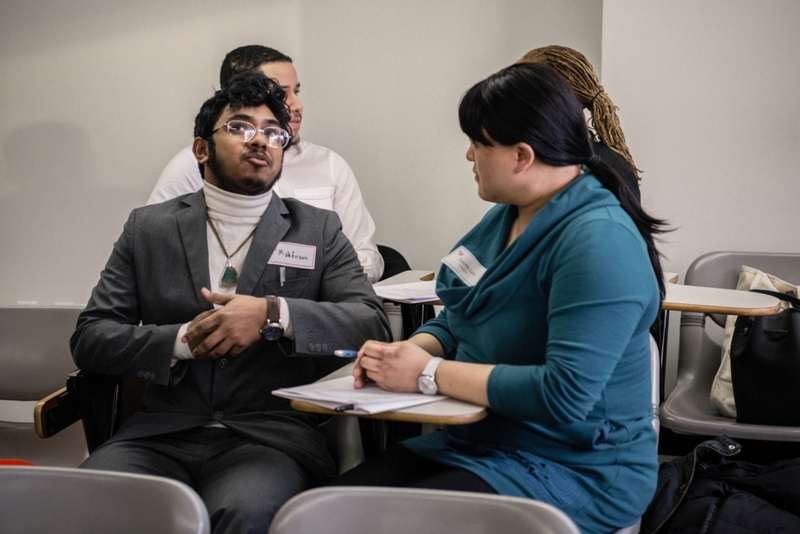 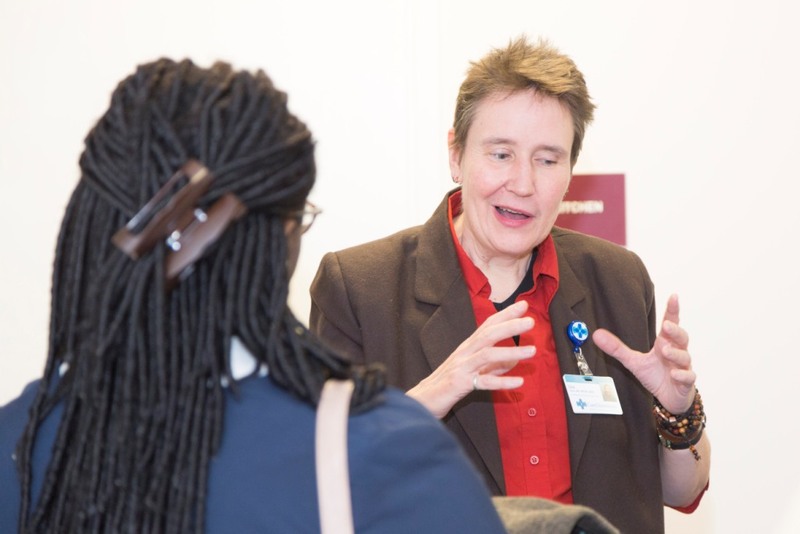 At Career Launch, volunteers conducted mock interviews and resume reviews. 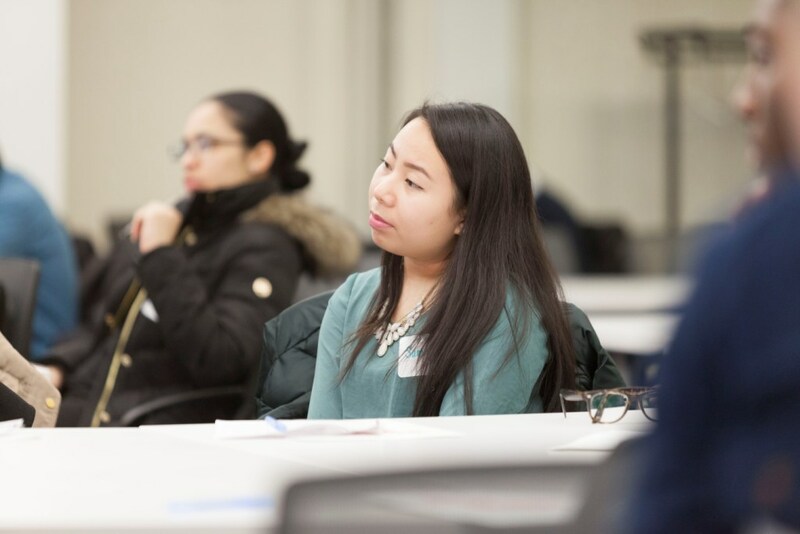 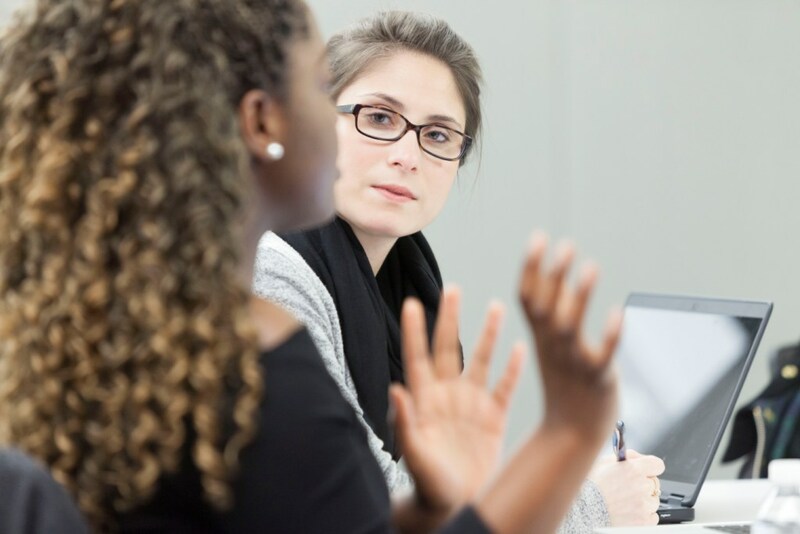 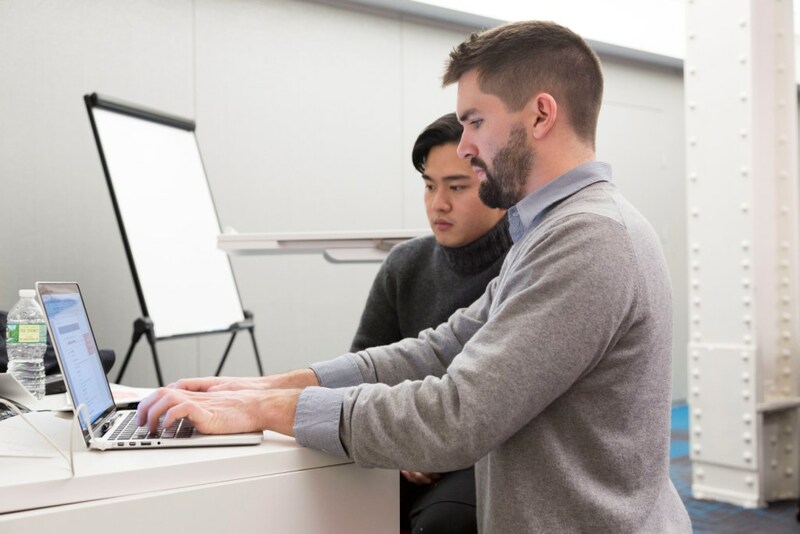 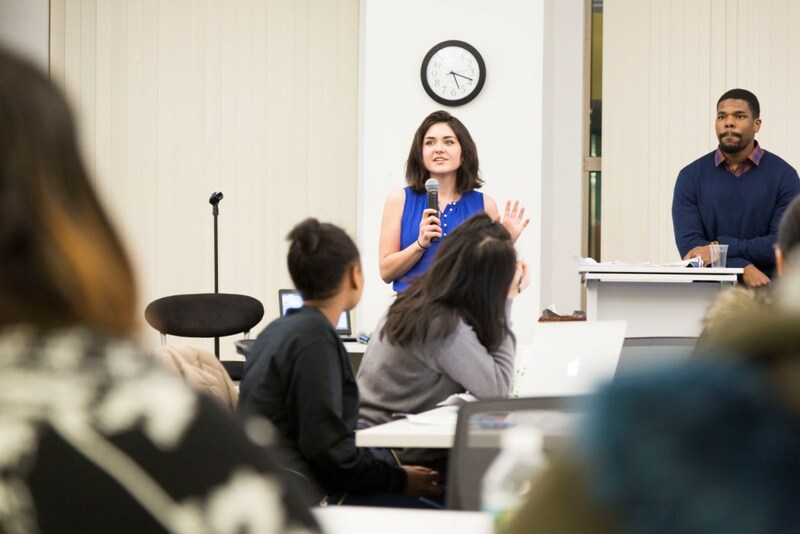 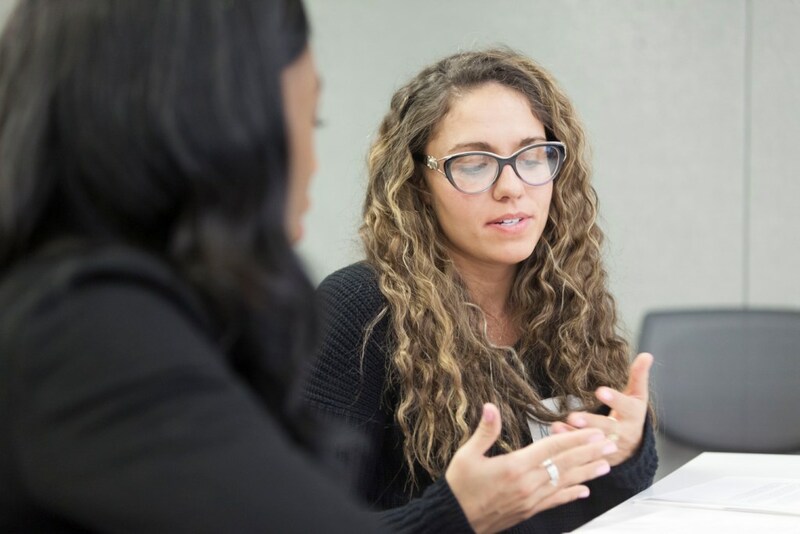 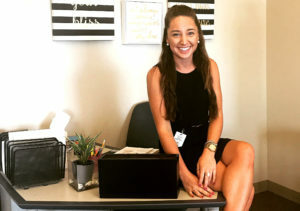 Students could also attend a seminar conducted by Agency Within’s Stephanie Panama on applying for jobs, navigating applicant tracking systems (ATS), and managing their online personas. 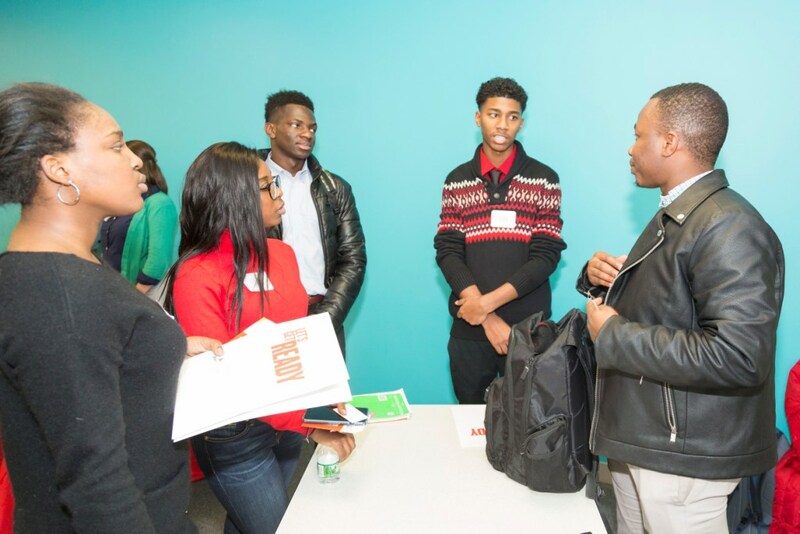 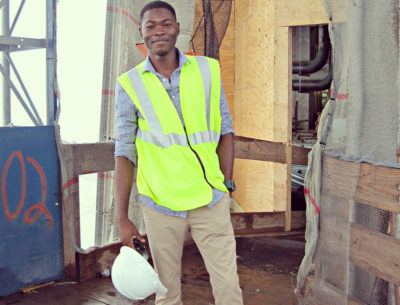 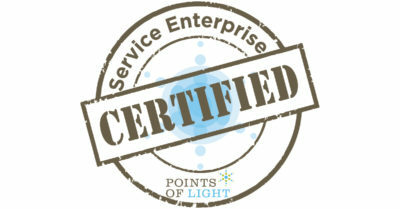 Volunteers included professionals from some of the top companies in their field, large and small. 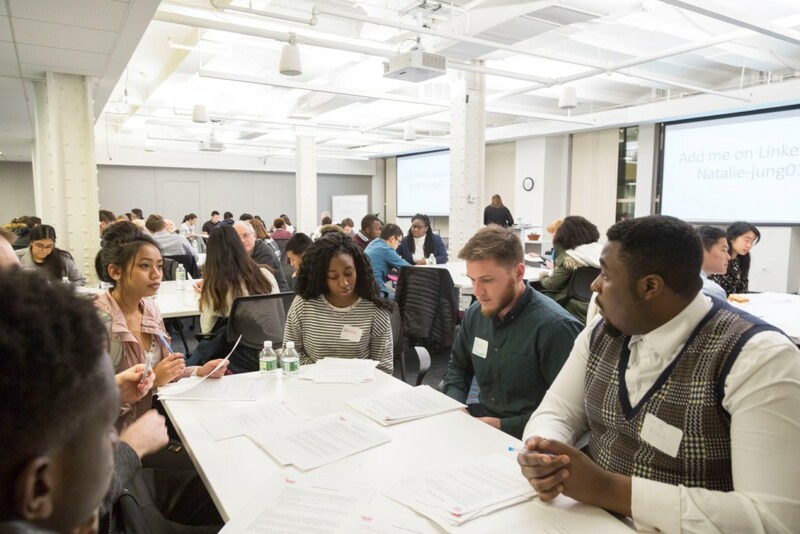 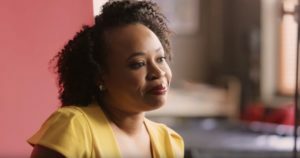 A great number work at Let’s Get Ready’s philanthropic partner NewsCorp or one of its subsidiaries, including Dow Jones, HarperCollins, The Wall Street Journal, the New York Post, and Storyful. 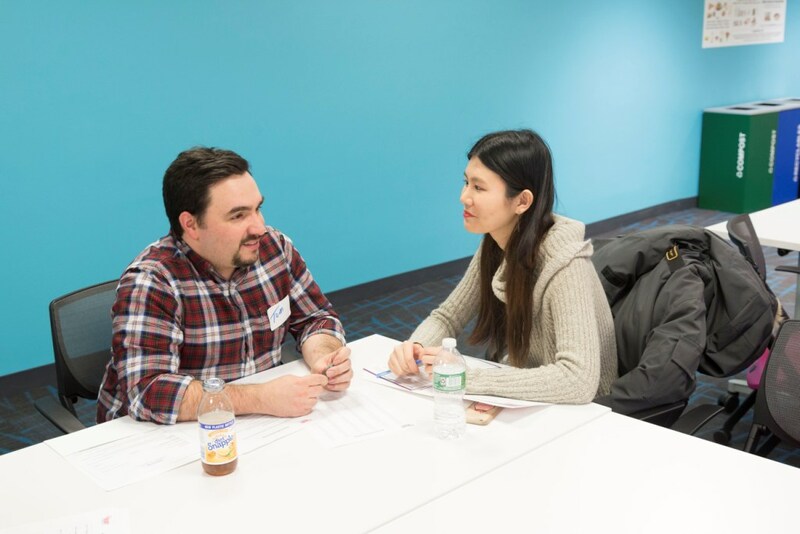 Other volunteers worked with employers that included Fontbonne Hall Academy, Tanglewood Publishing, Democracy Prep, Facebook, National Association of Insurance Commissioners, Year Up, Google, VeridianPrep, Harbor Group International, JetBlue, Burns Group, JPMorgan Chase, Alvarez & Marsal, and Claremont Capital. 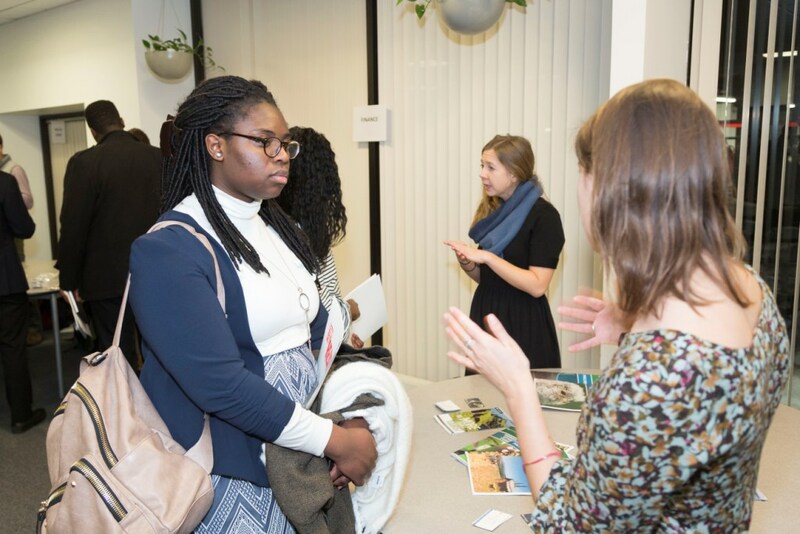 There were also independent consultants and artists available to field students’ questions. 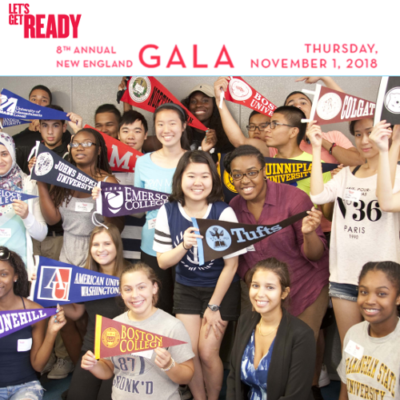 Let’s Get Ready is very grateful to all of the volunteers and students that participated in this exciting and productive event. 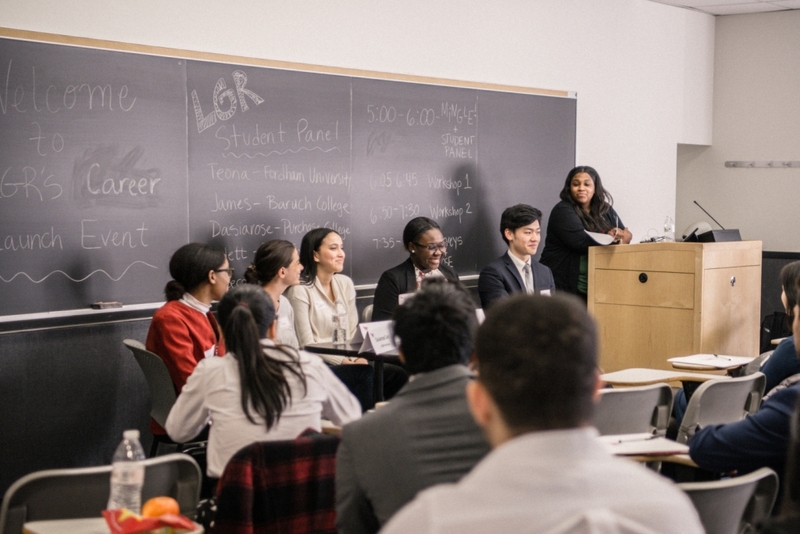 We look forward to collaborating with all of you in the future to help more students achieve their career dreams.